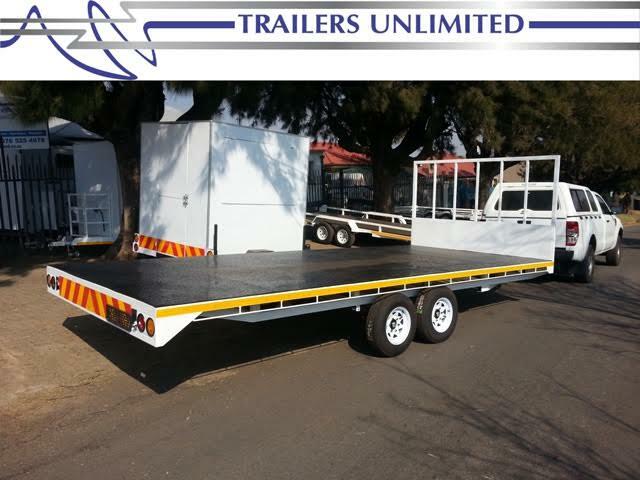 We specialise in manufacturing and selling purpose-built trailers. 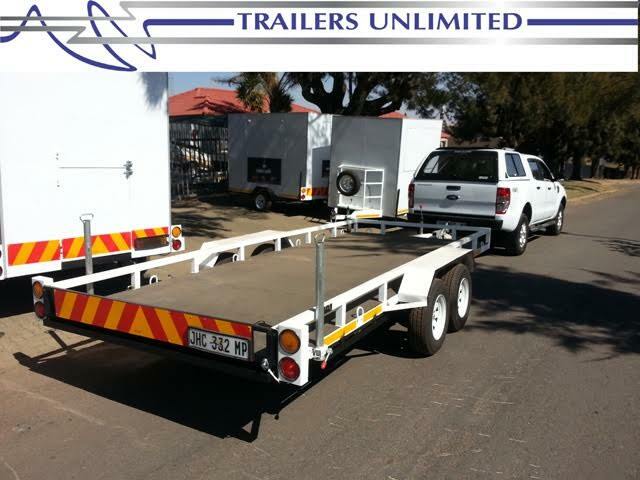 All our robust trailers are manufactured using only A Grade steel. 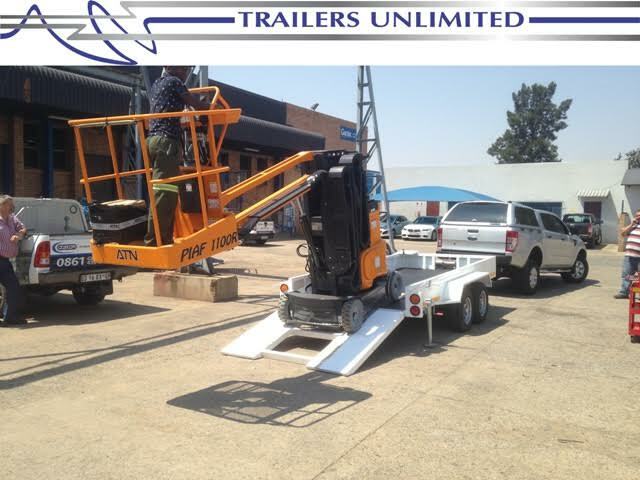 We are set apart by our attention to customer specifications and budget. 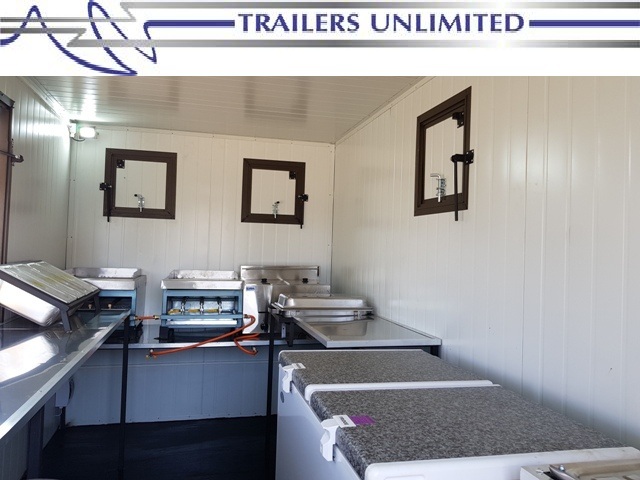 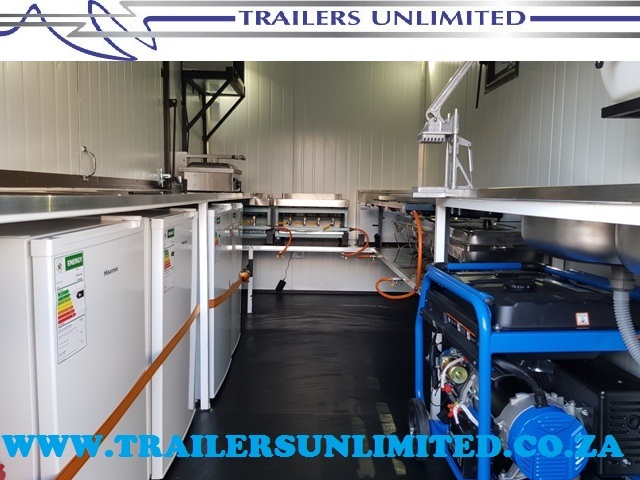 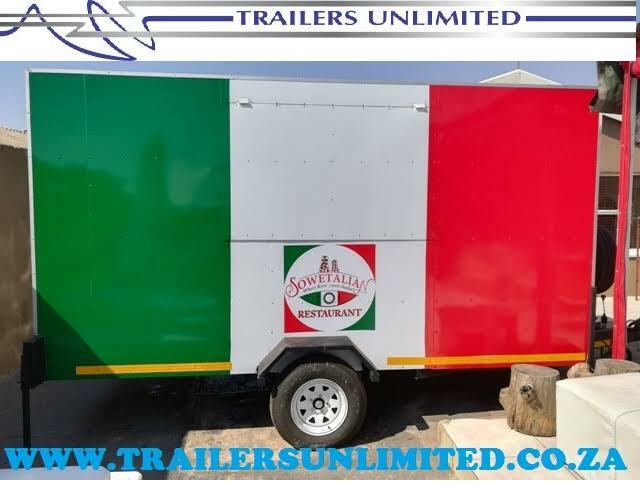 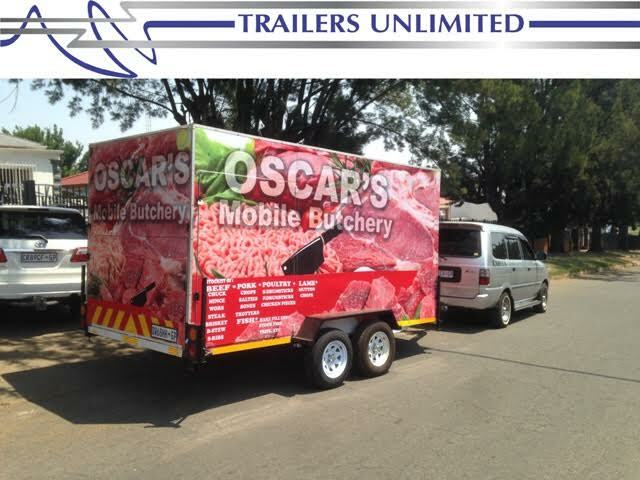 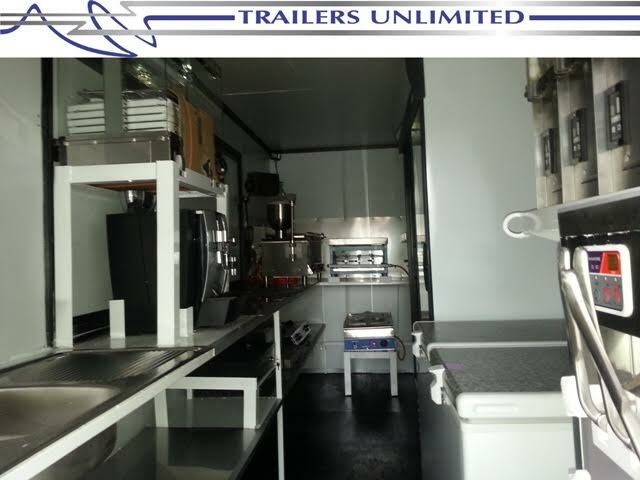 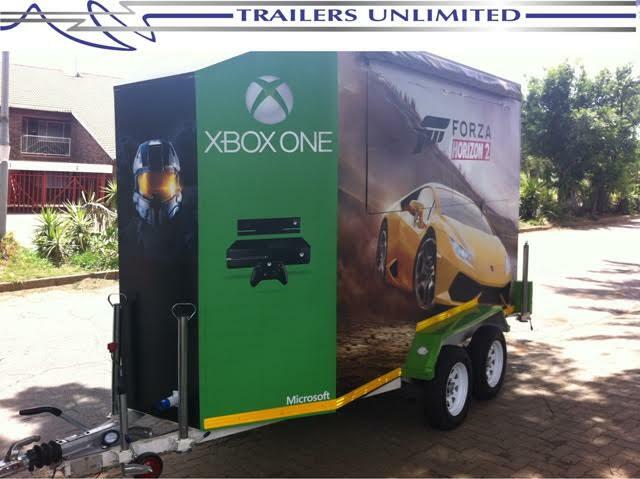 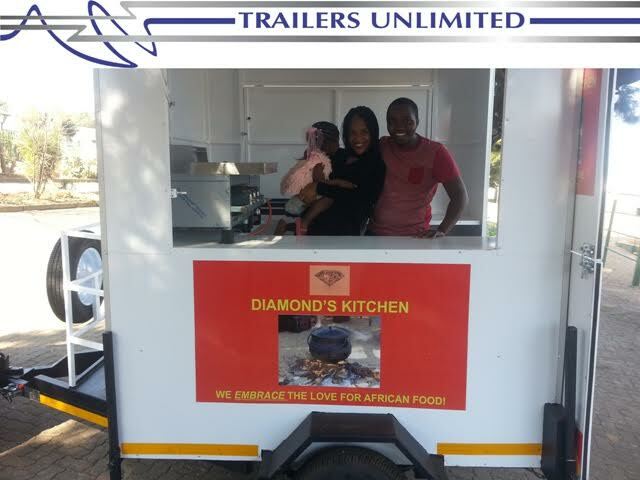 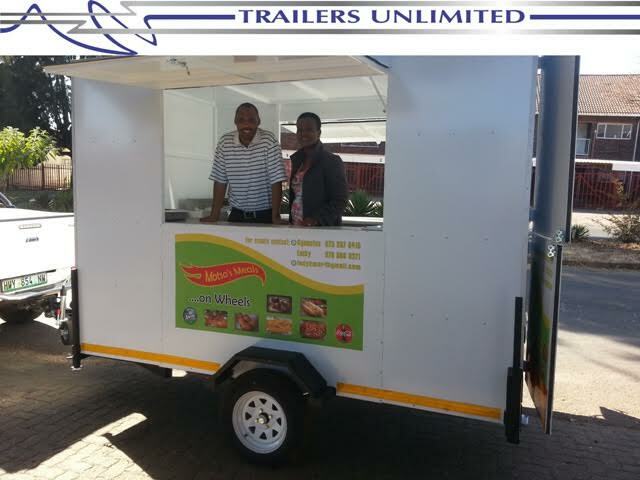 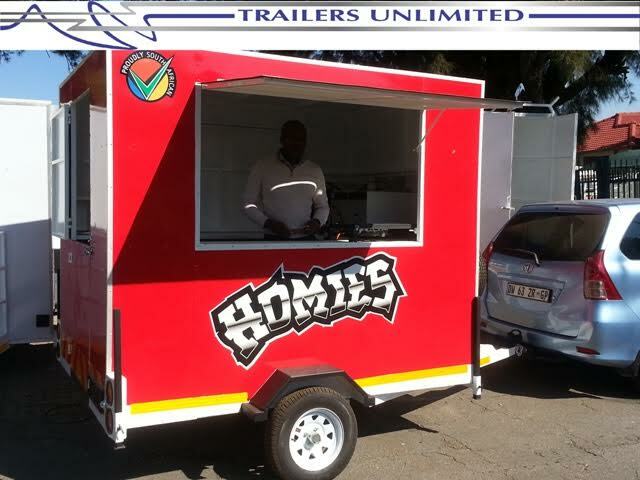 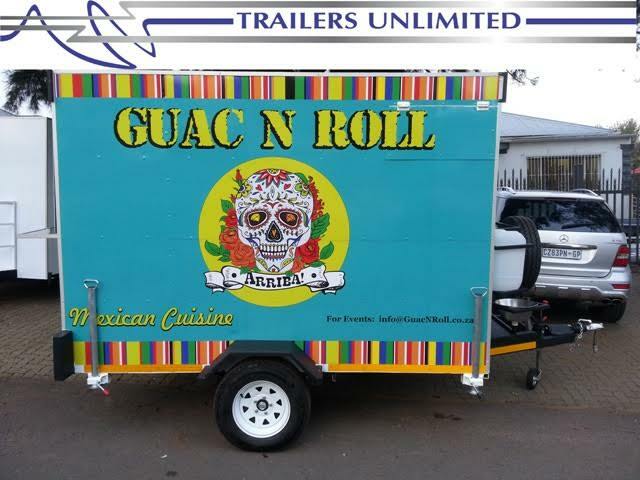 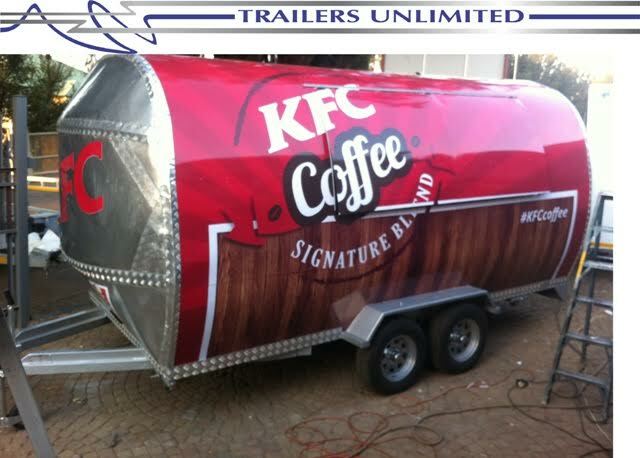 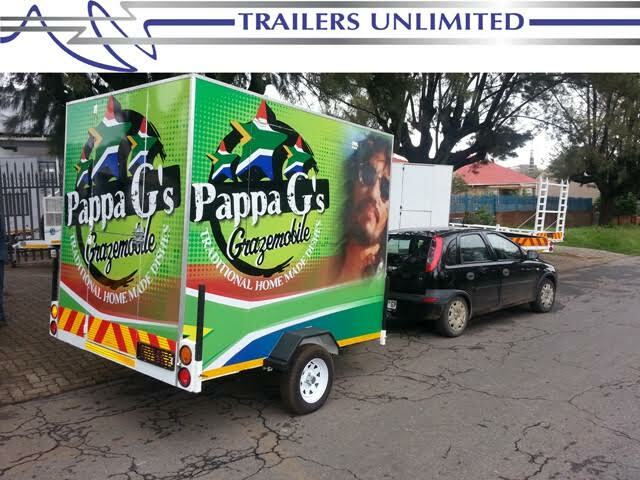 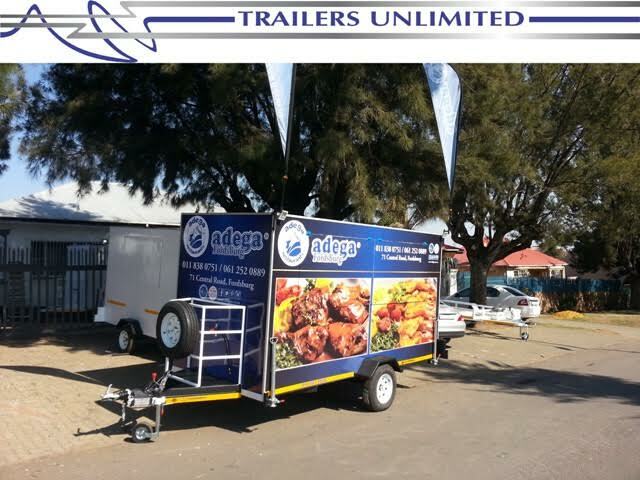 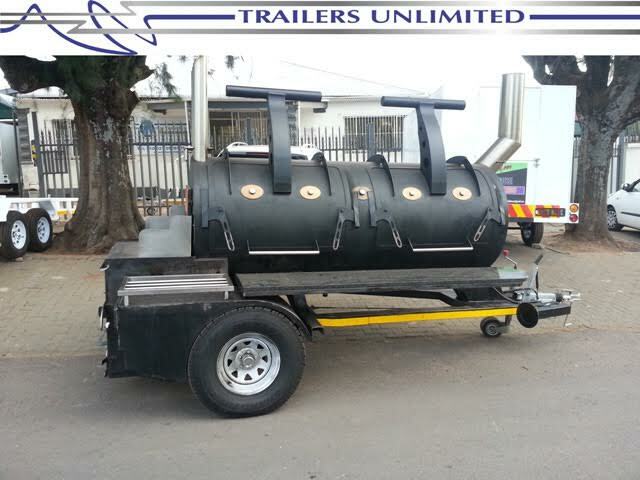 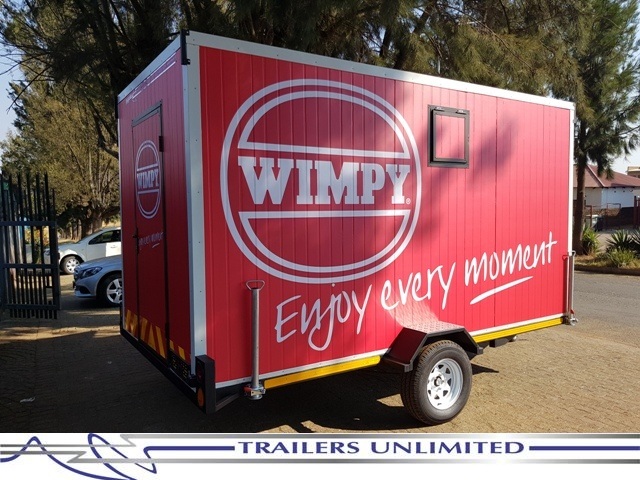 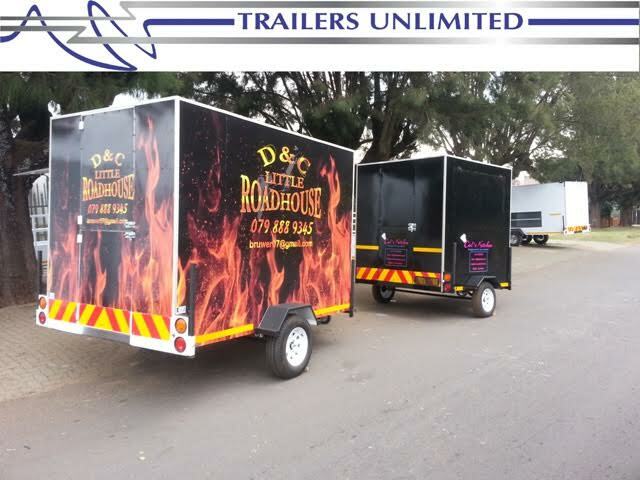 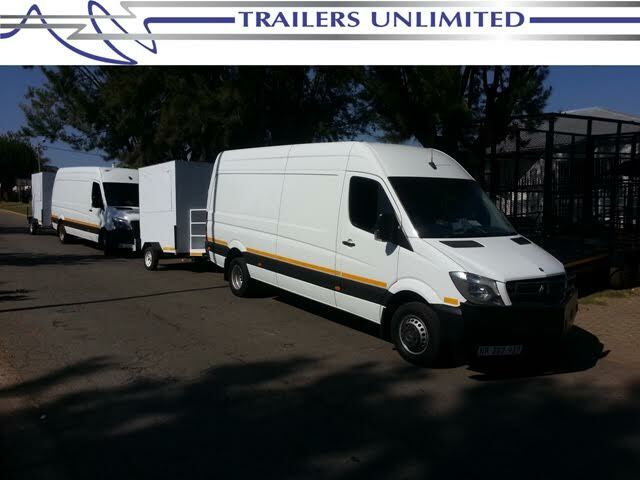 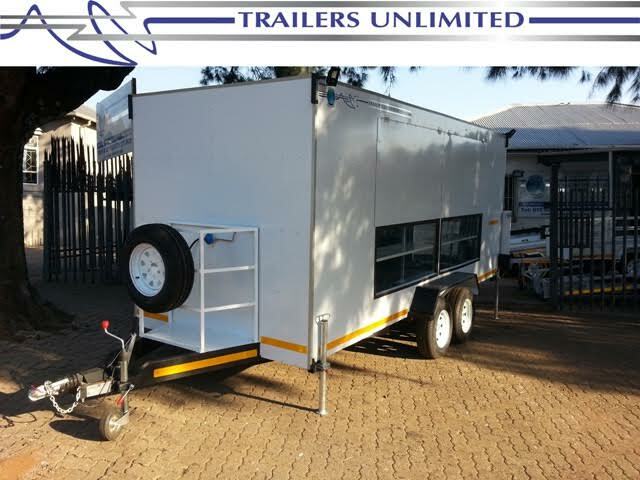 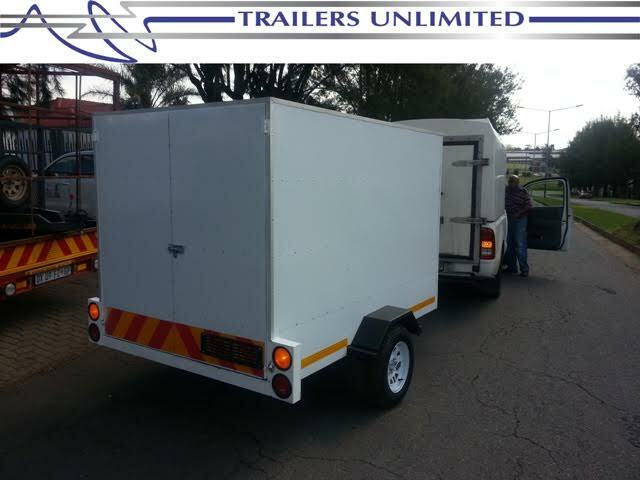 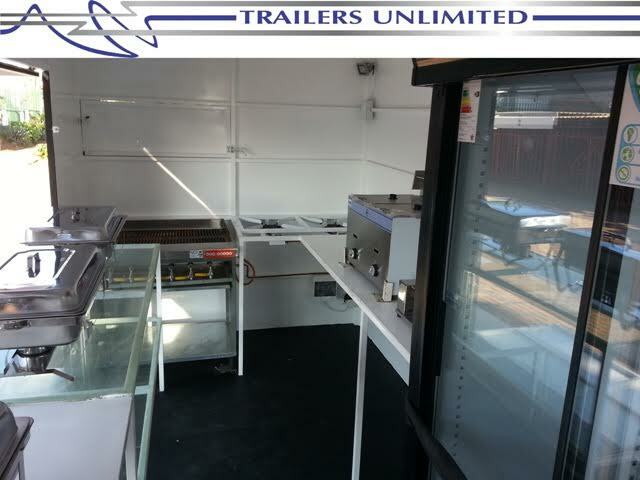 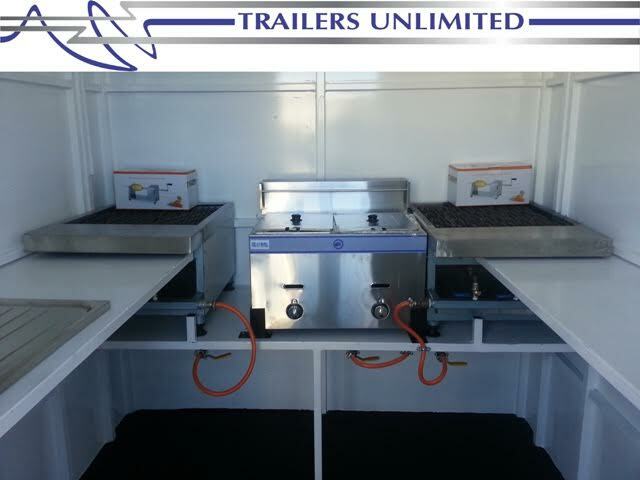 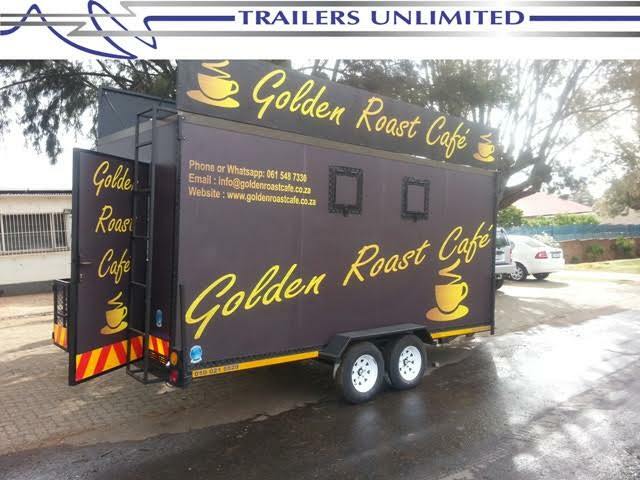 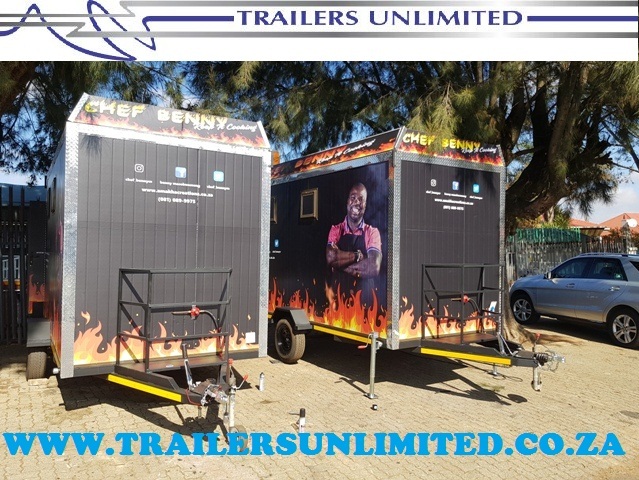 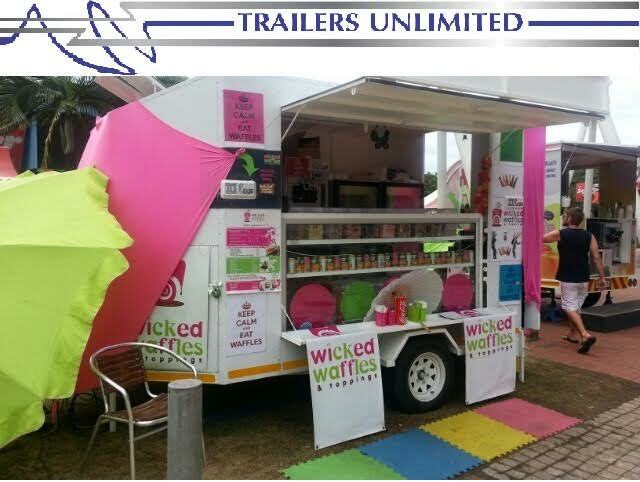 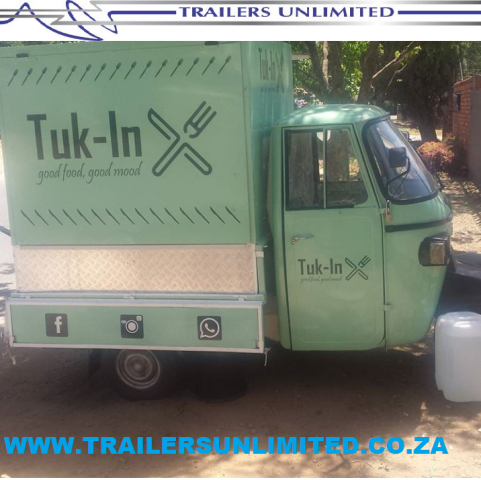 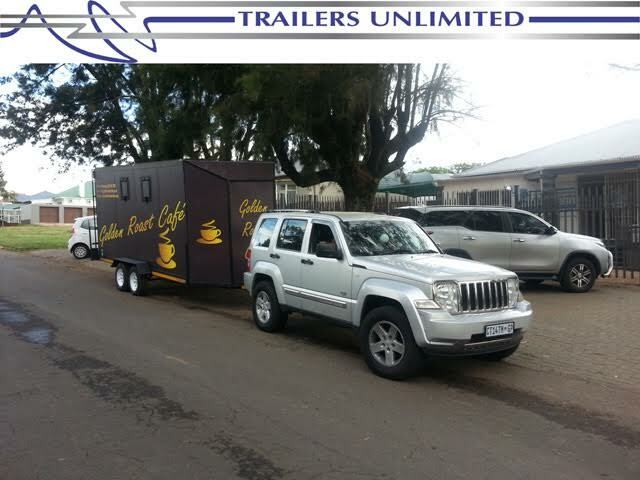 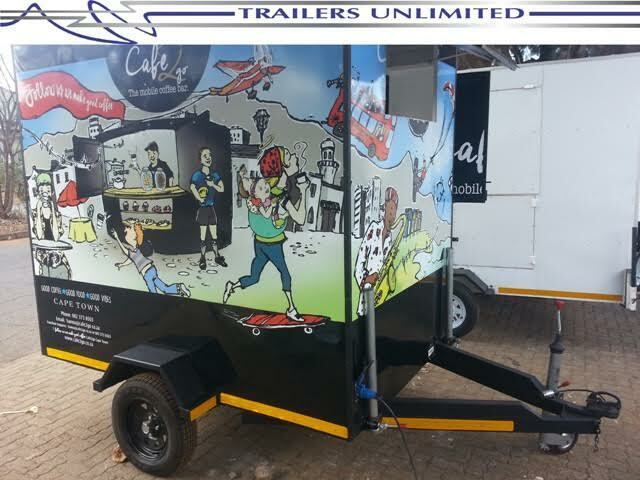 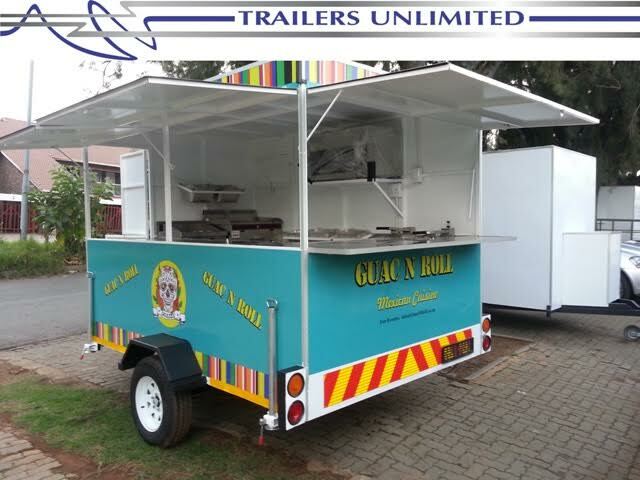 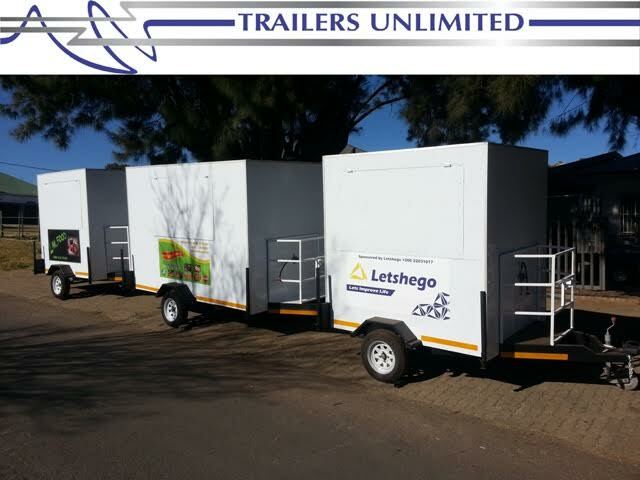 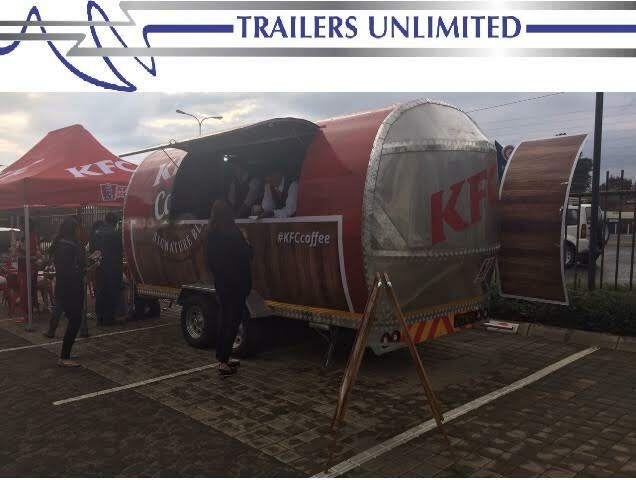 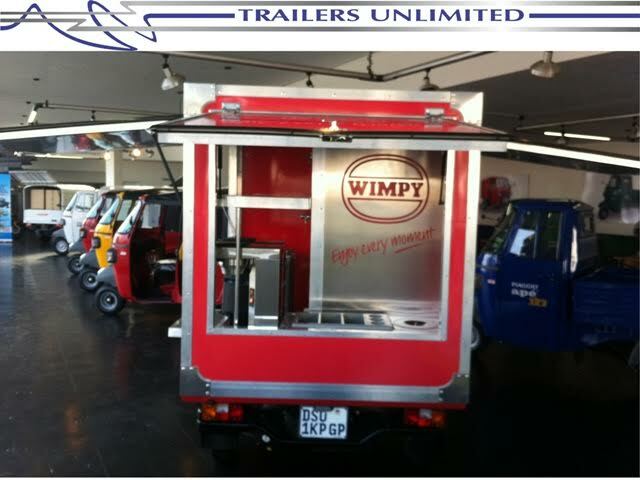 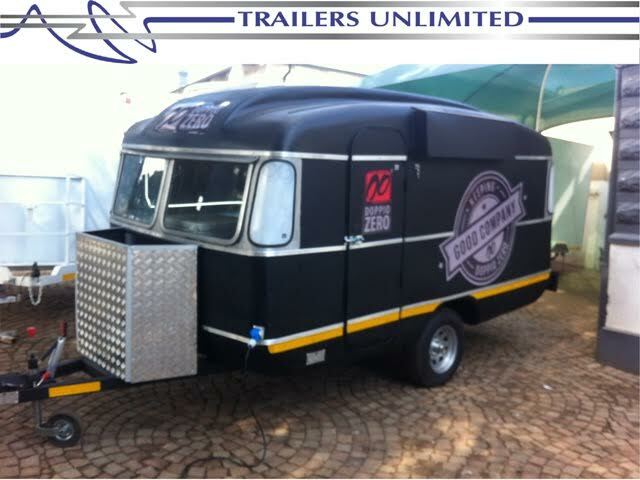 Trailers Unlimited offers a wide variety of high quality custom built catering trailers to the market. 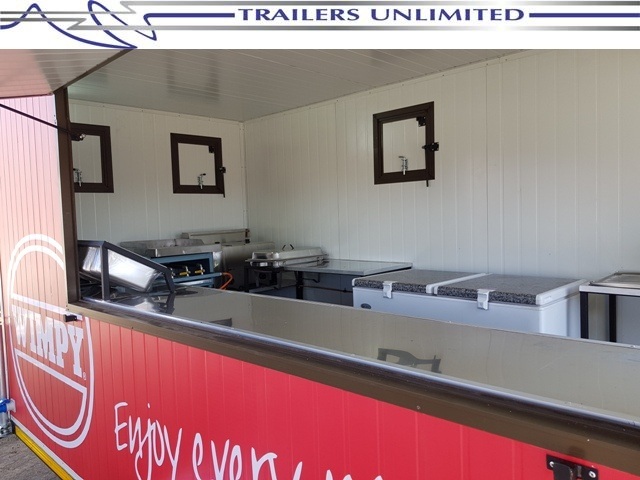 Our ultimate Catering Trailers are manufactured with either Chromodek panelling or insulated panels and are fully weatherproof! 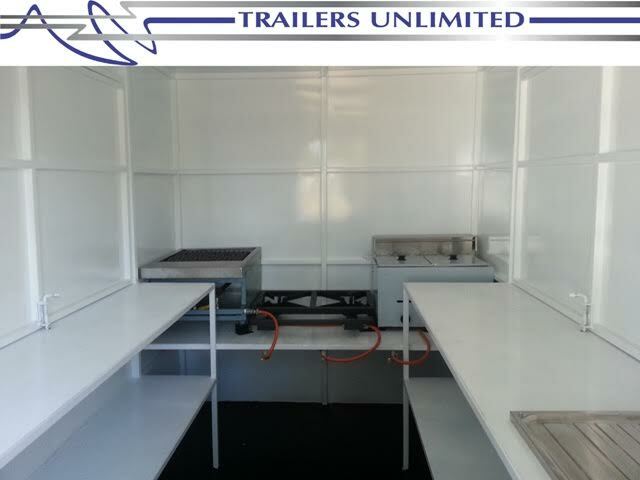 Clean, low maintenance units and at the same time fulfilling your every specification! 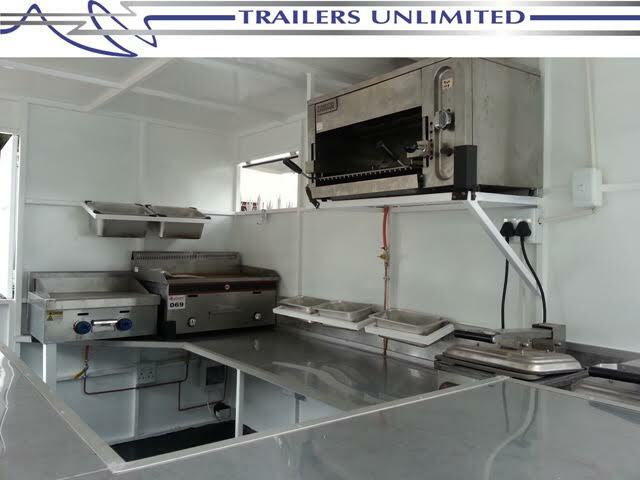 We design & manufacture our Catering Units around you and your businesses specific requirements. 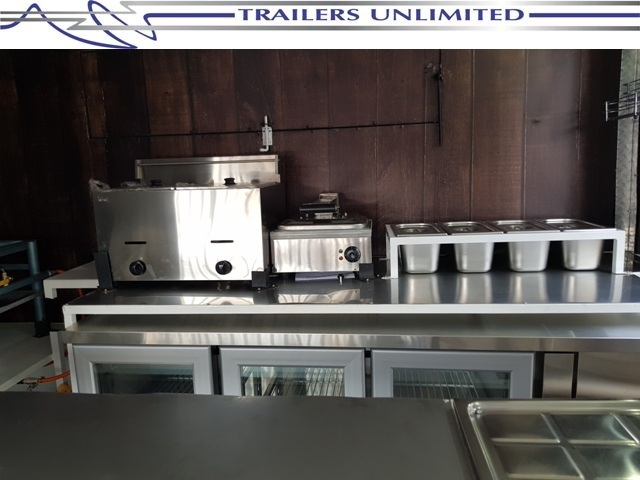 We offer your choice of professional catering equipment, electrical installation, gas installation (including gas certificate) and Branding. 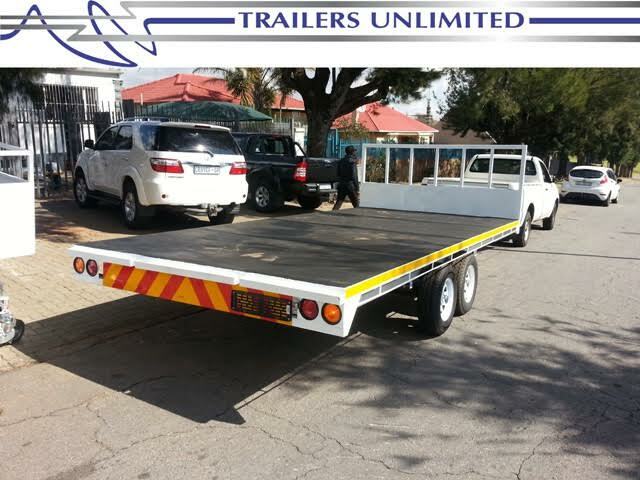 We are set apart by our attention to customer specifications and budget. 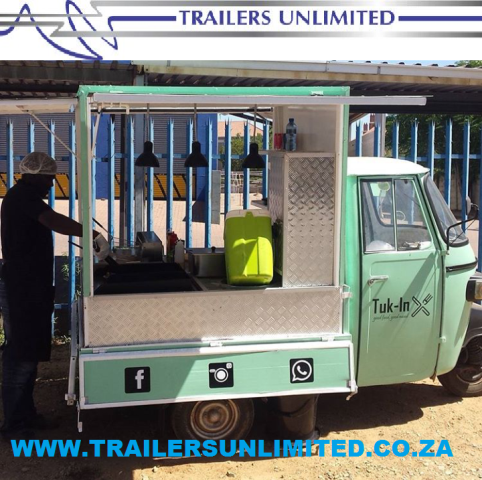 It all starts with an idea – And we turn that into reality! 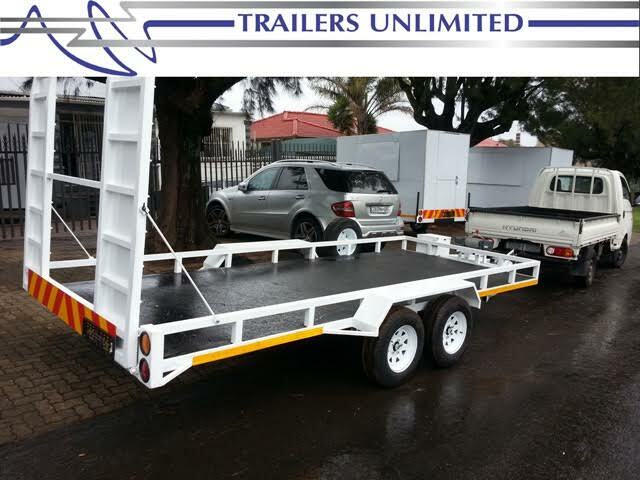 Our robust Trailers are manufactured using only A Grade steel and designed based on the particular vehicles/bob cat’s that need to be loaded. 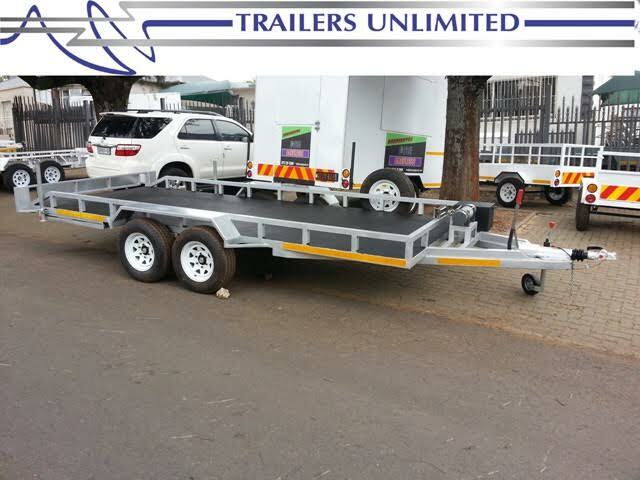 We specialise in the customization of each trailer to ensure easy and effective loading as well as creating a stabile platform of transportation for each trip. 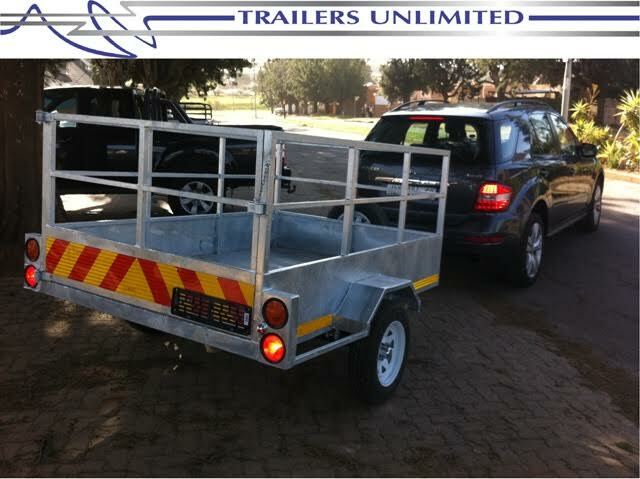 Lower trailer height for ease of loading and off loading. 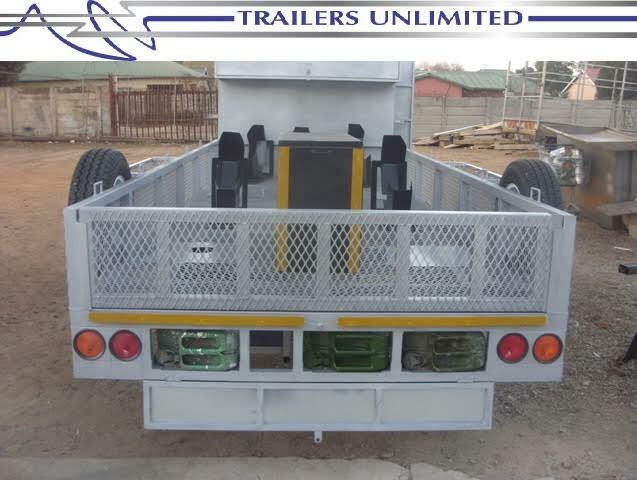 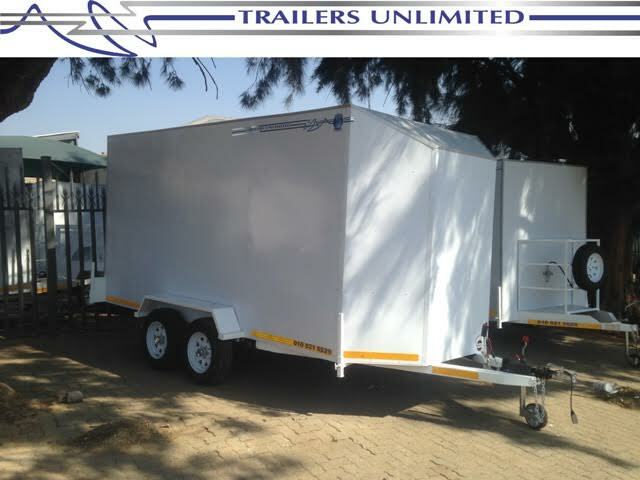 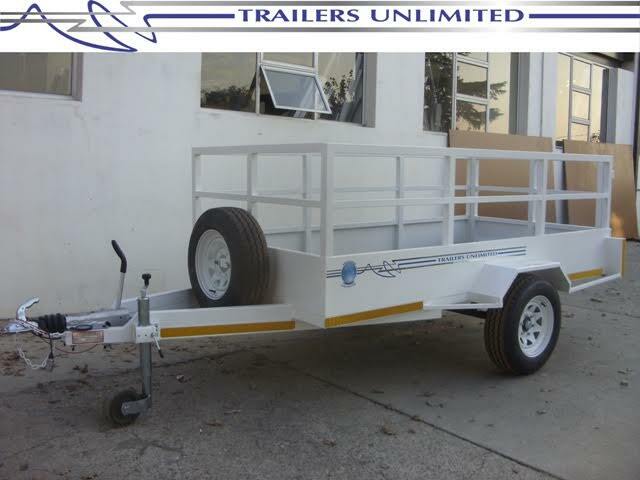 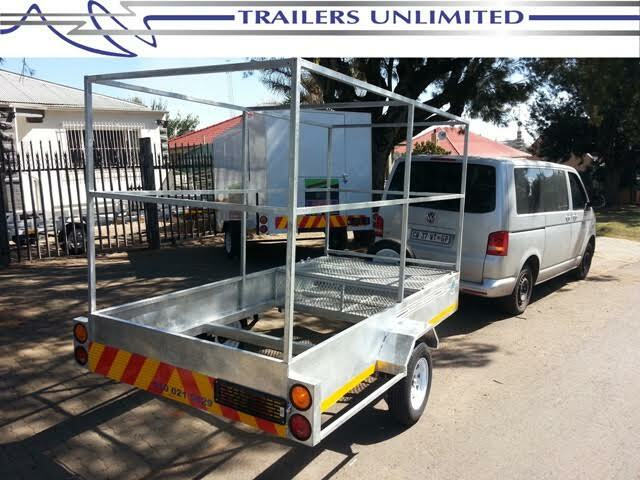 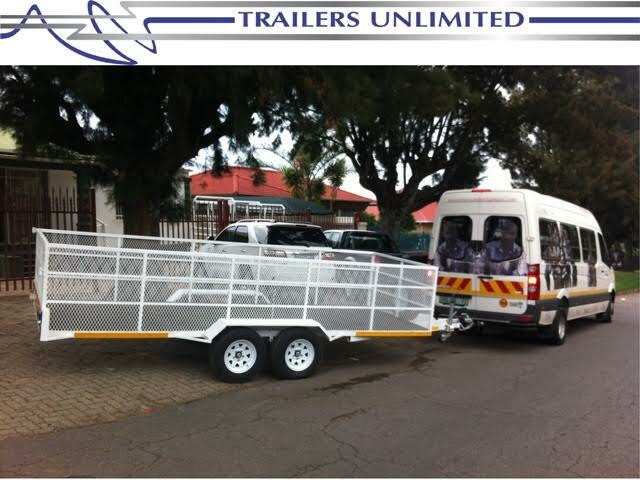 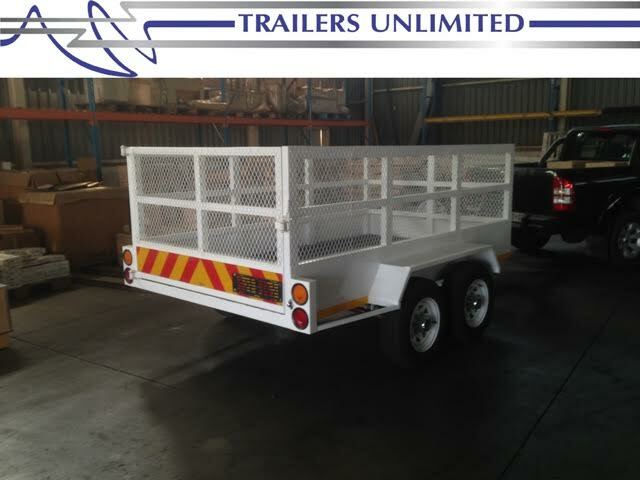 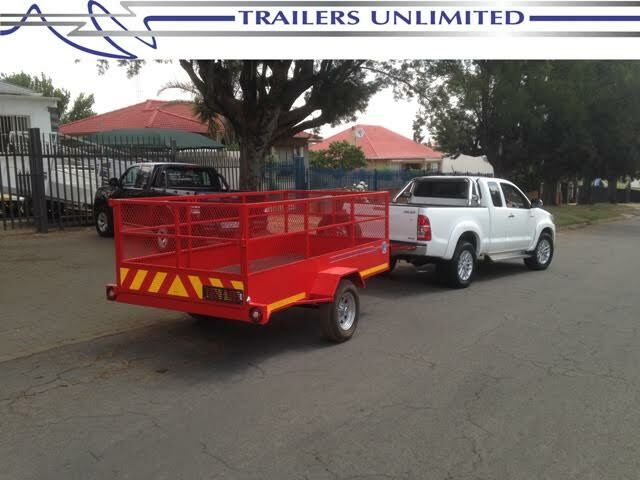 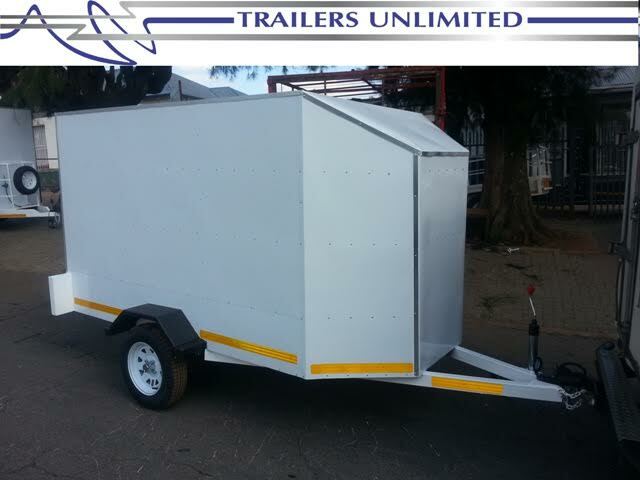 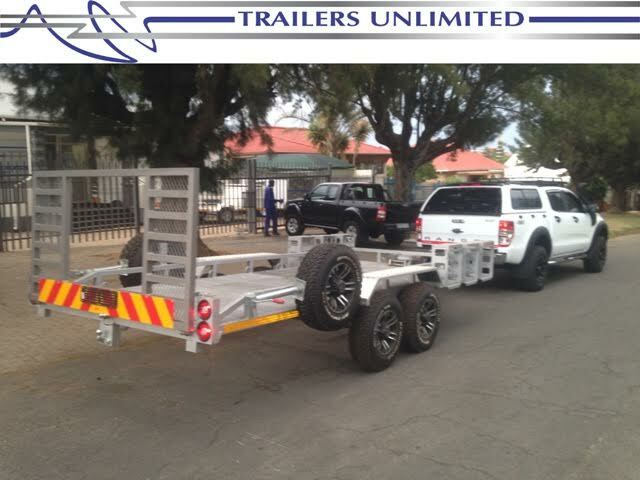 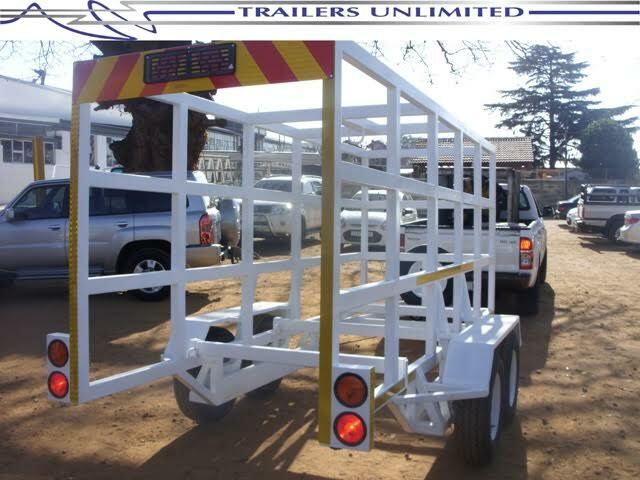 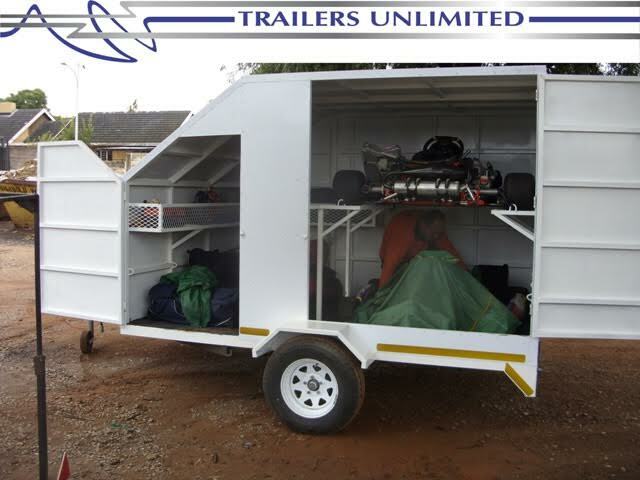 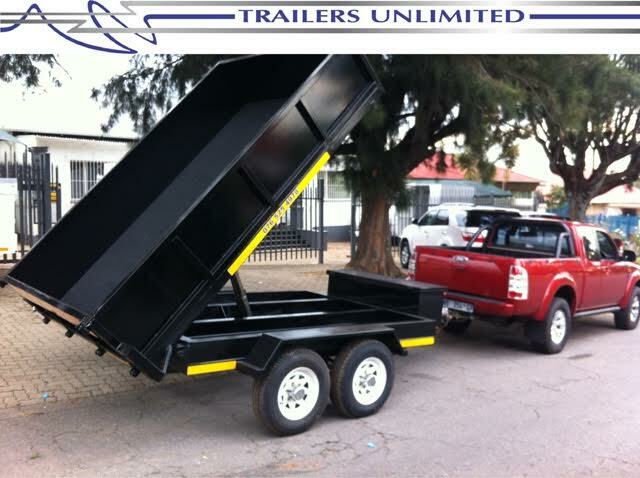 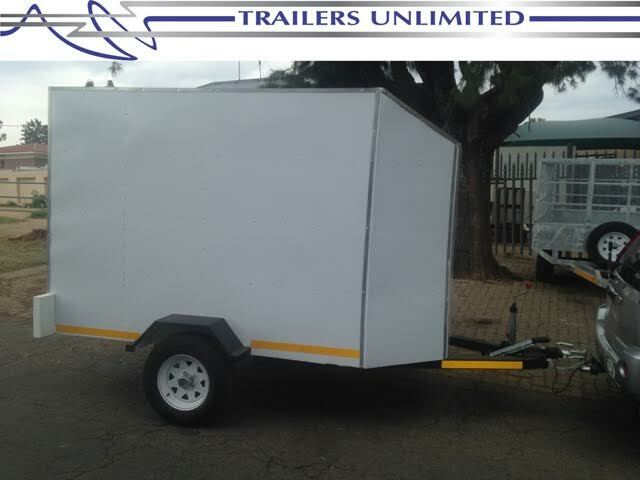 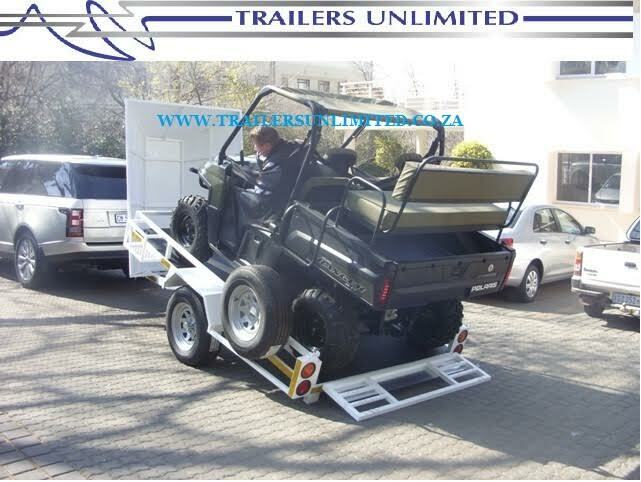 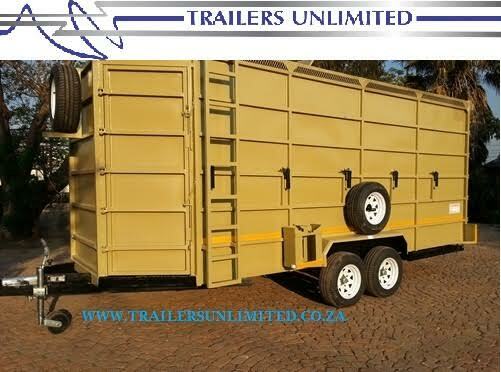 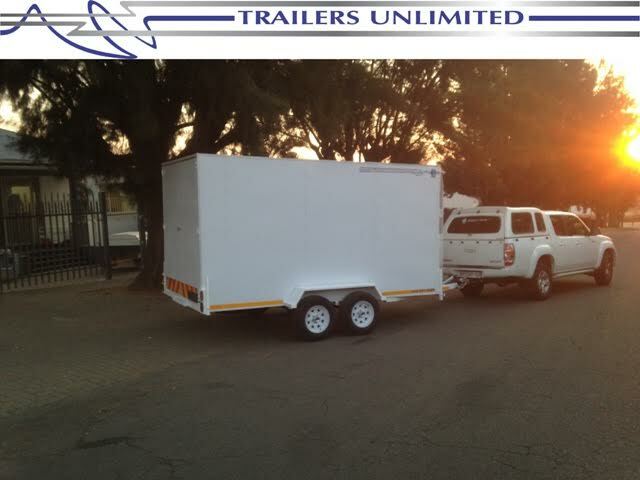 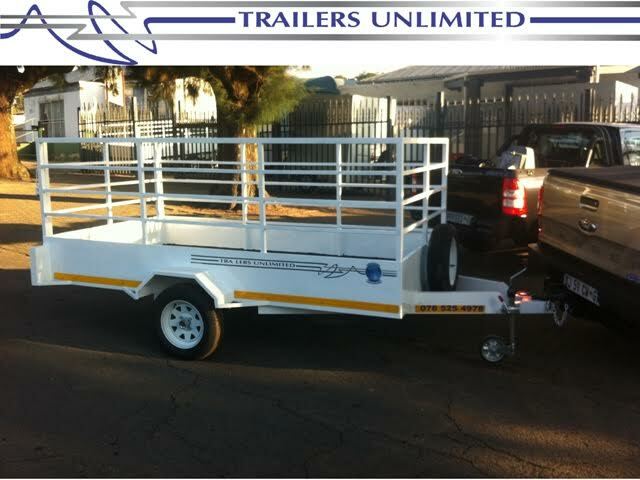 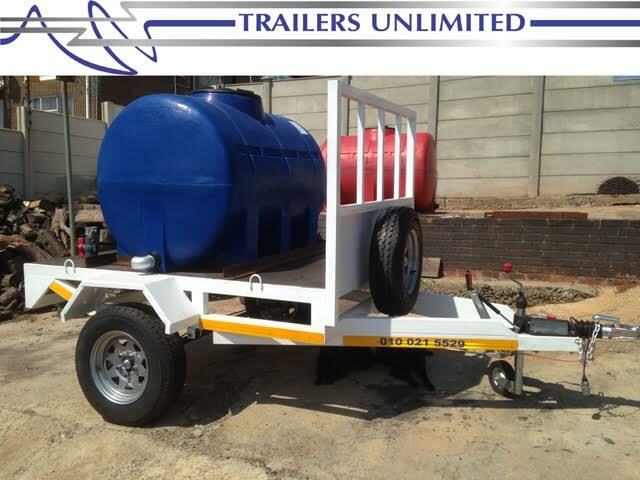 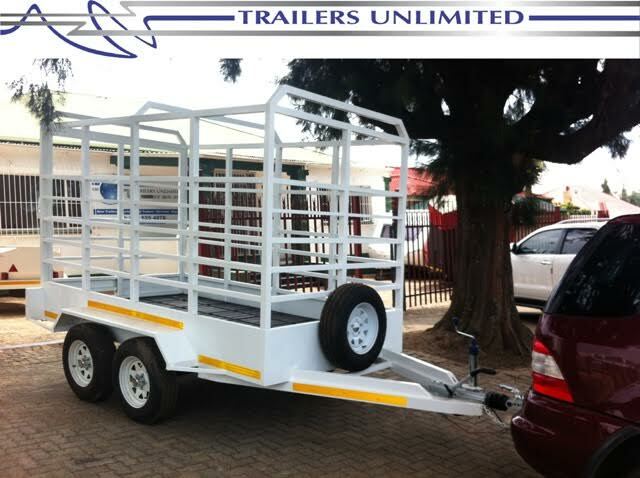 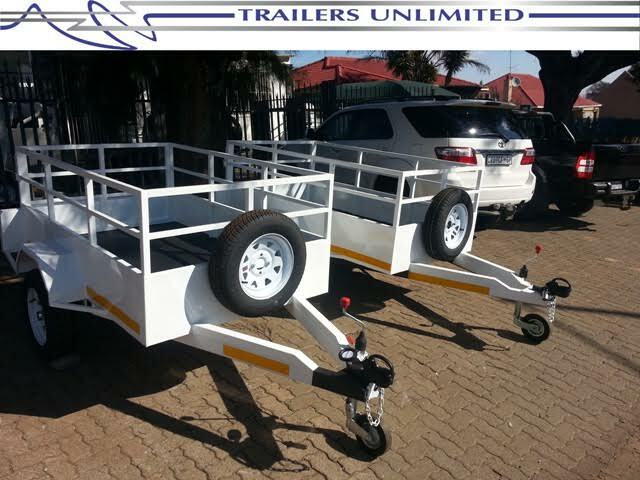 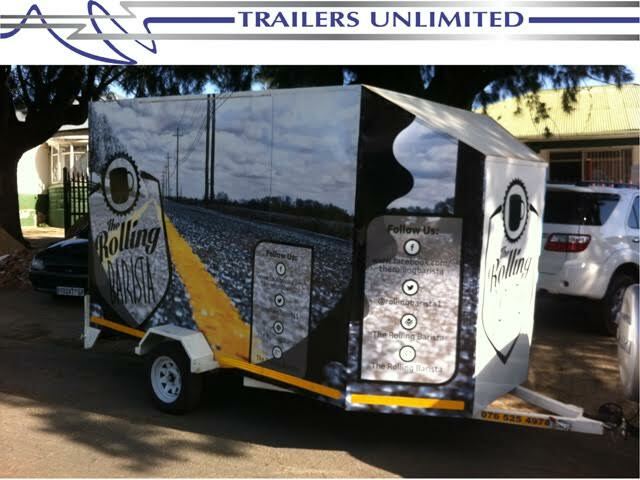 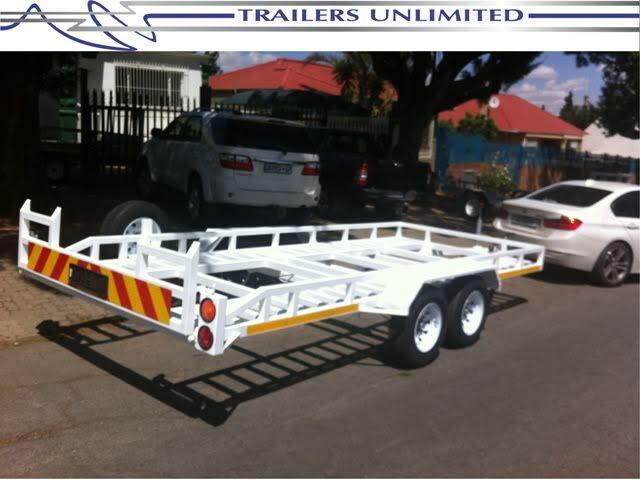 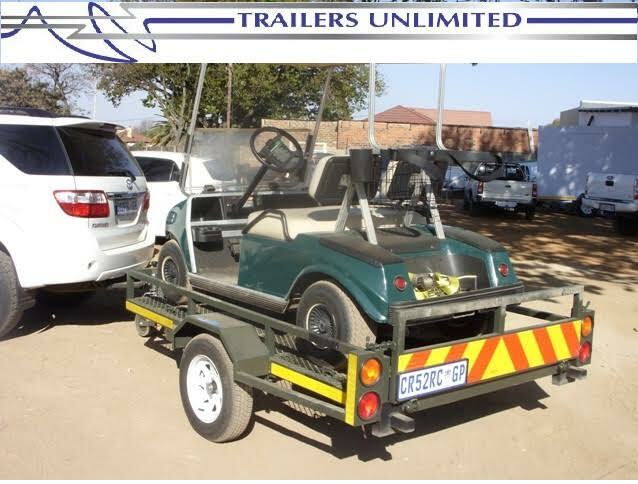 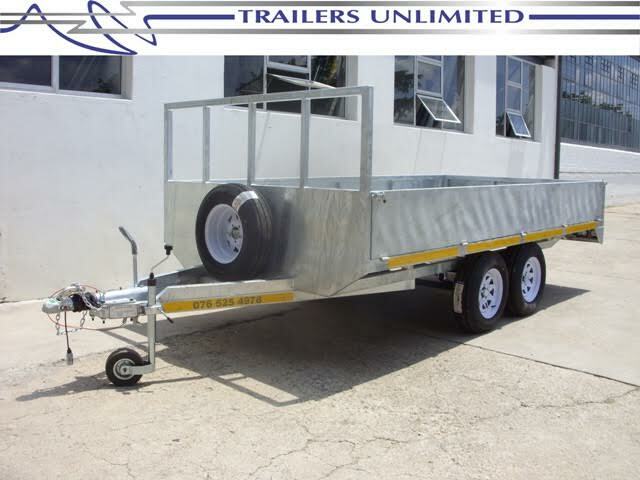 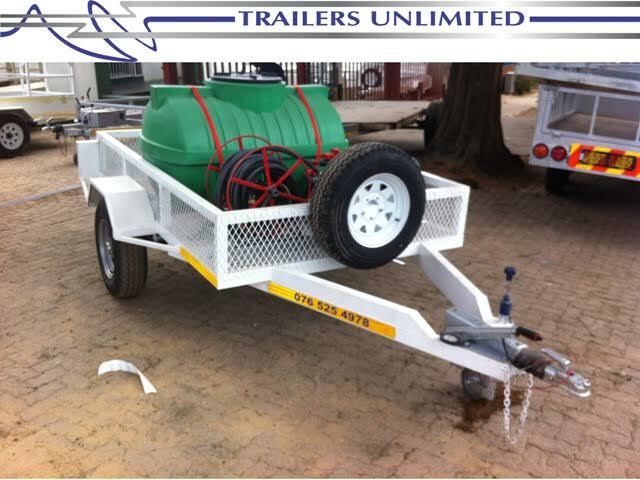 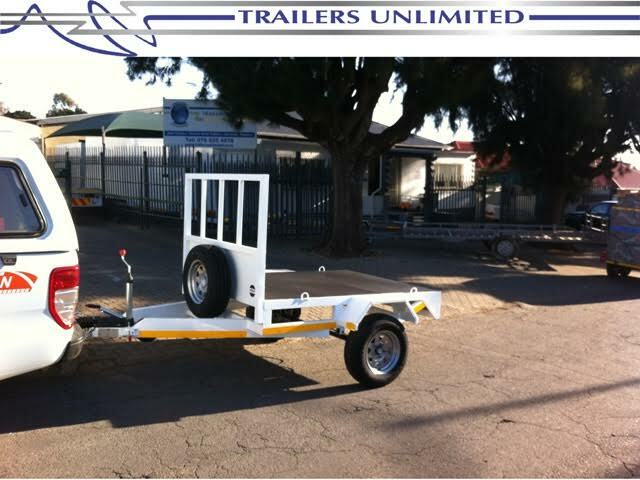 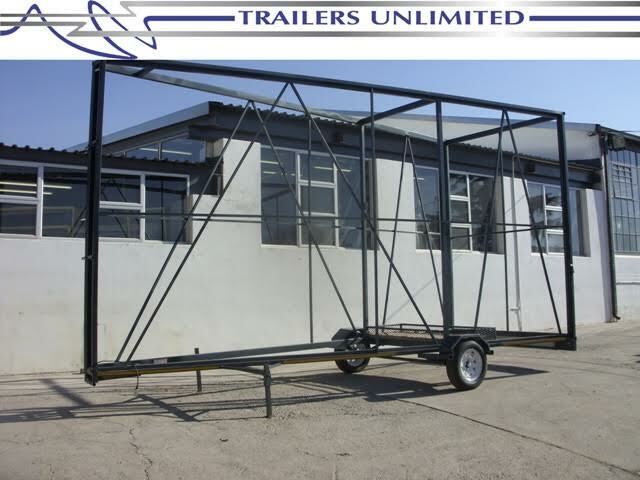 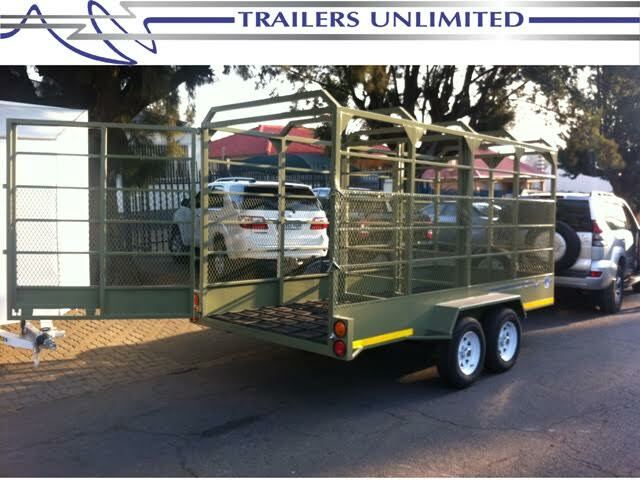 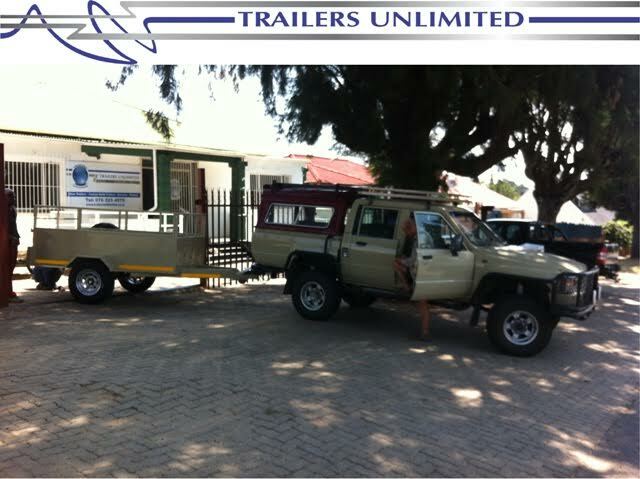 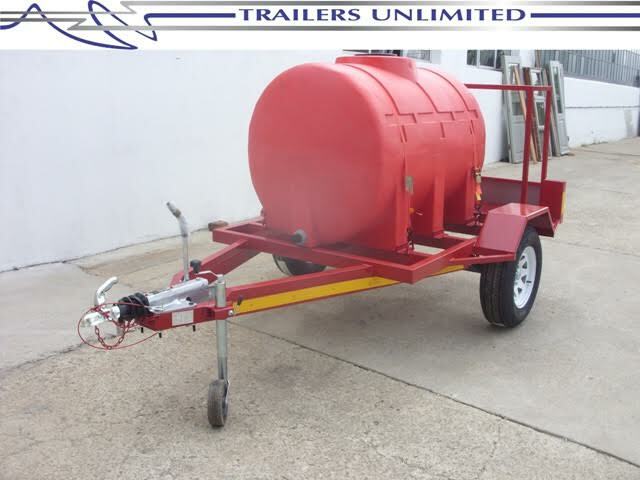 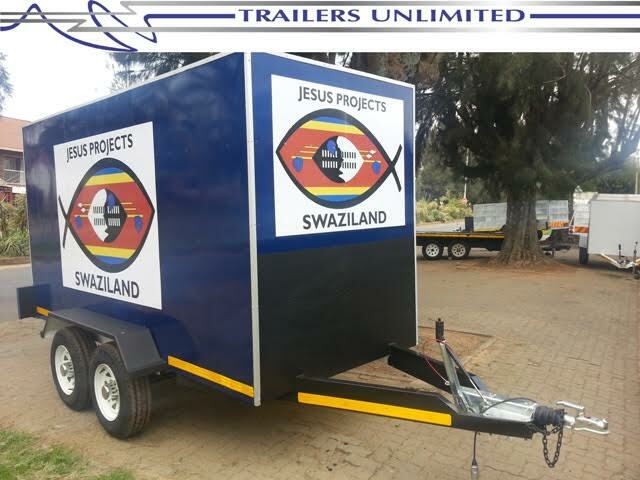 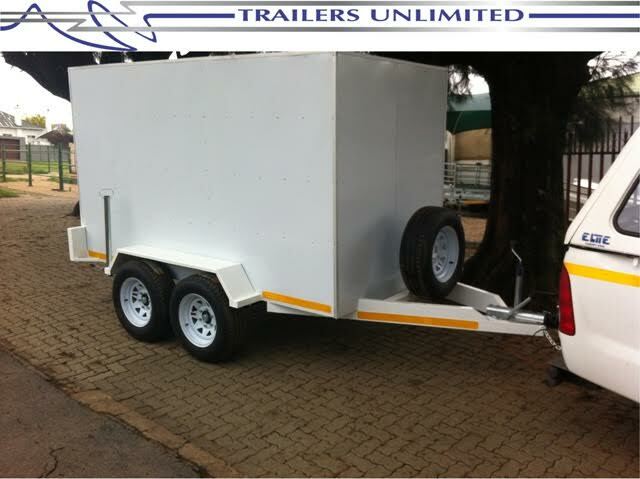 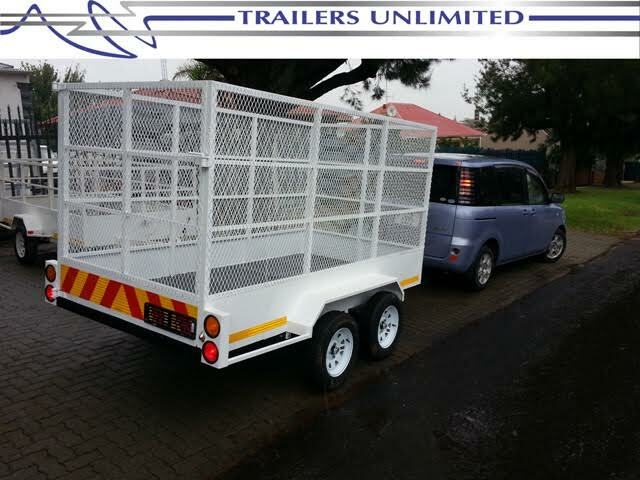 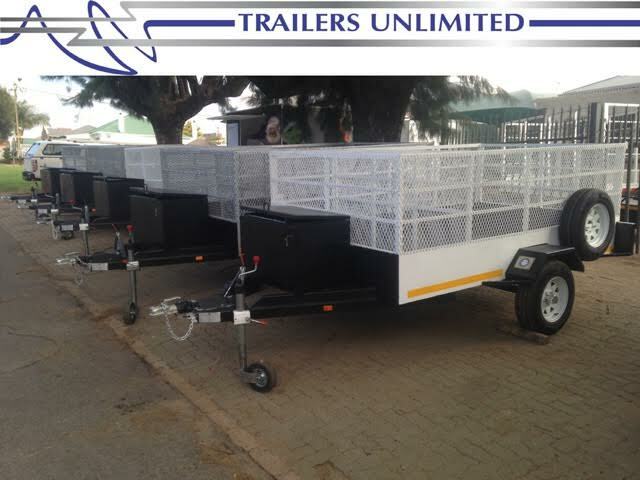 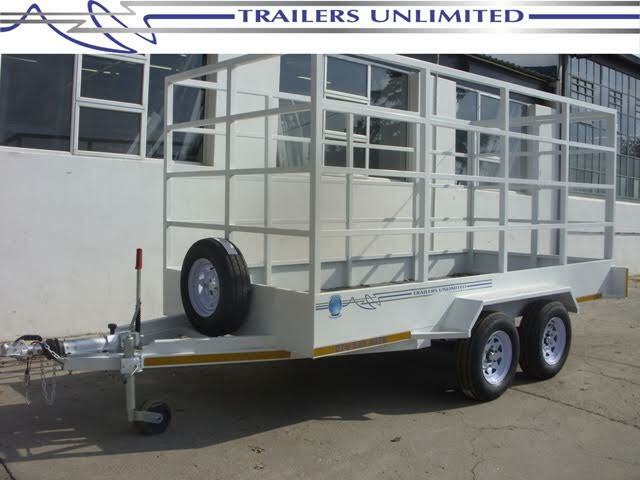 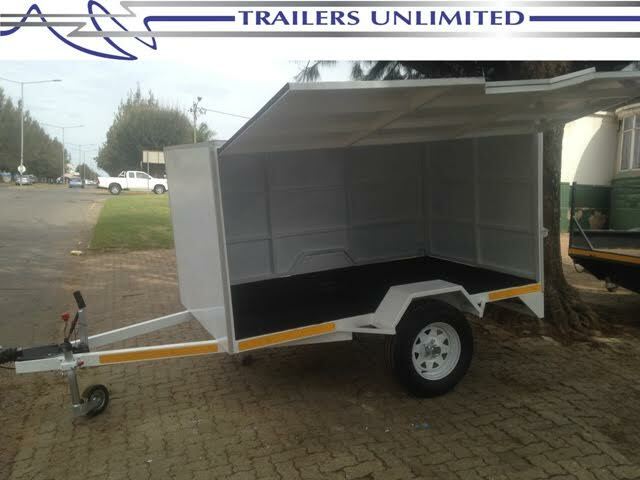 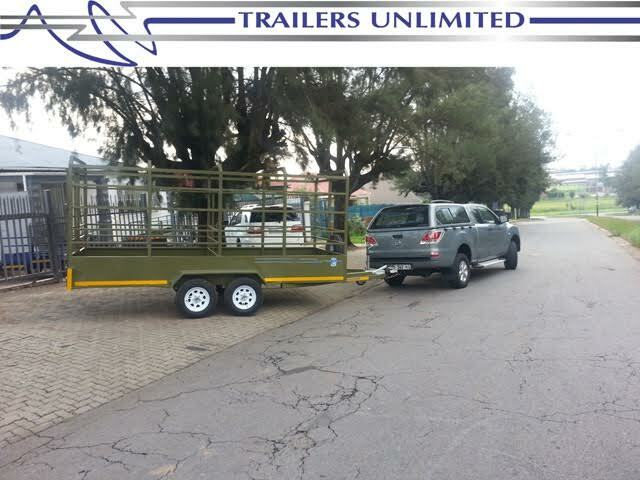 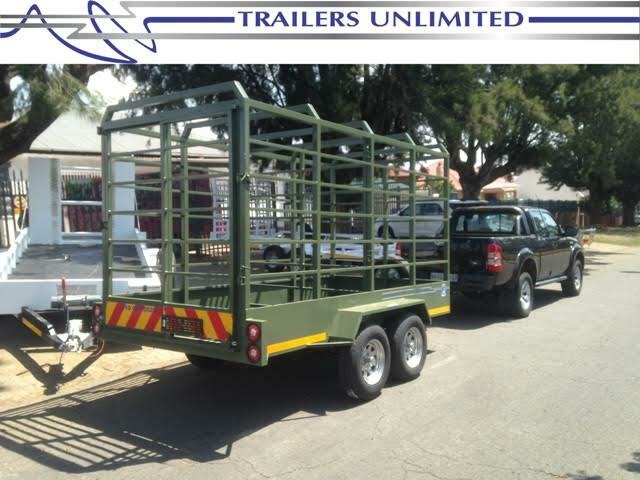 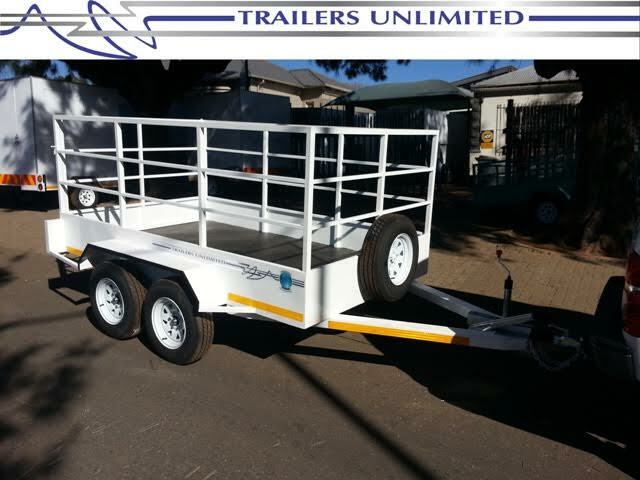 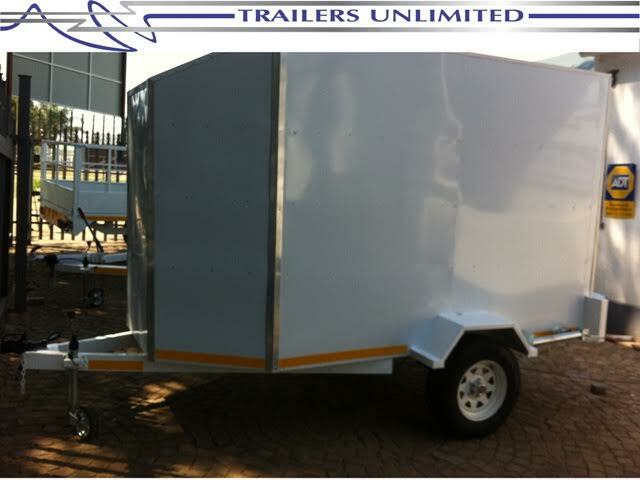 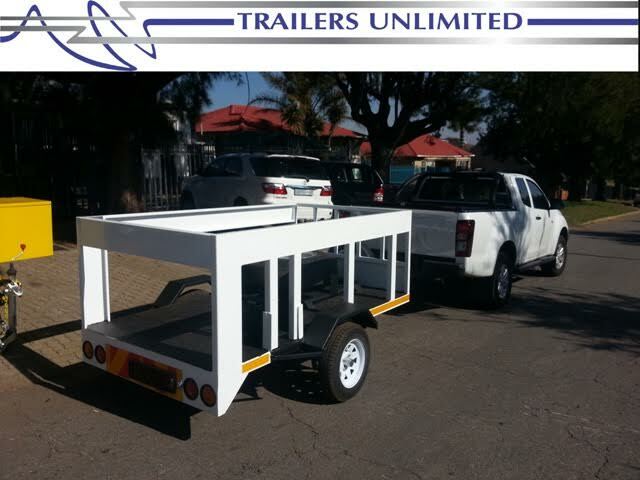 At Trailers Unlimited we specialise in the custom manufacture of any trailer that you may require. 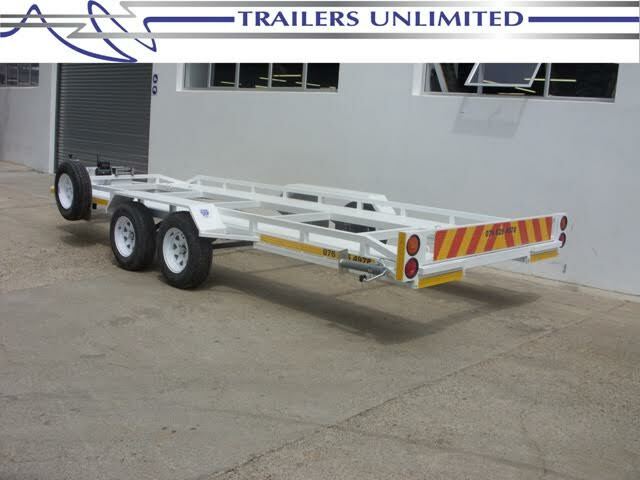 Each chassis is uniquely designed to accommodate the load specification. 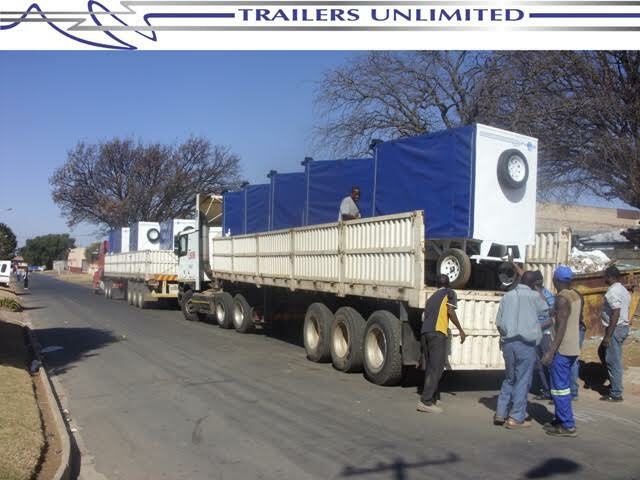 For all machinery, generators, mining equipment, fire fighting equipment, compressors, water tanks etc. 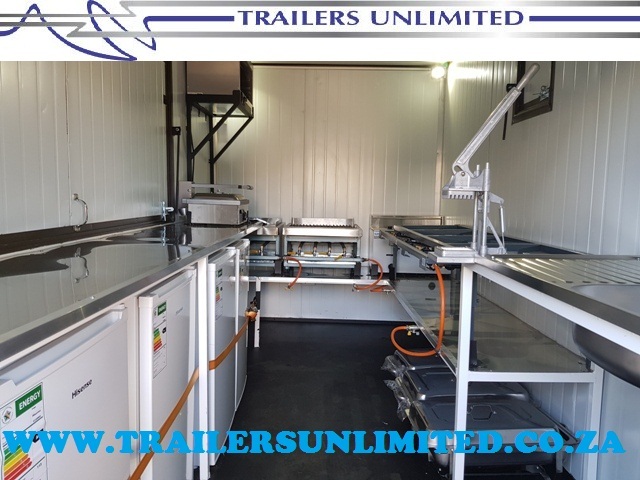 we are able to design the most cost effective solution without compromise of quality. 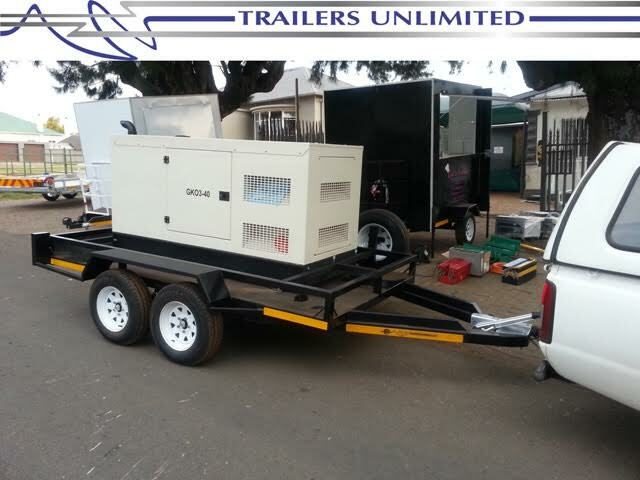 Allow us to carry your Asset and facilitate optimum work performance. 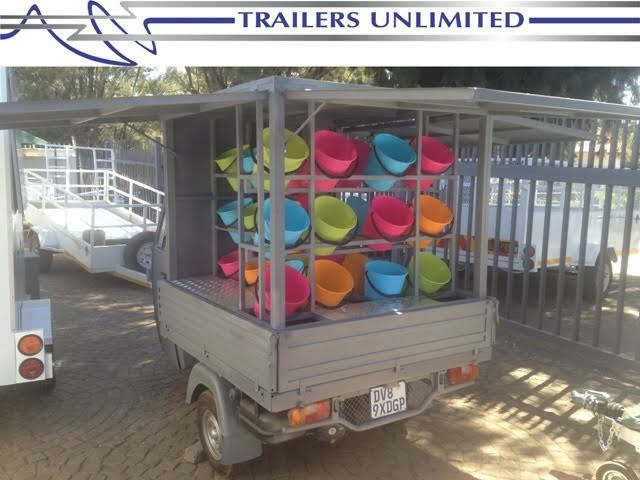 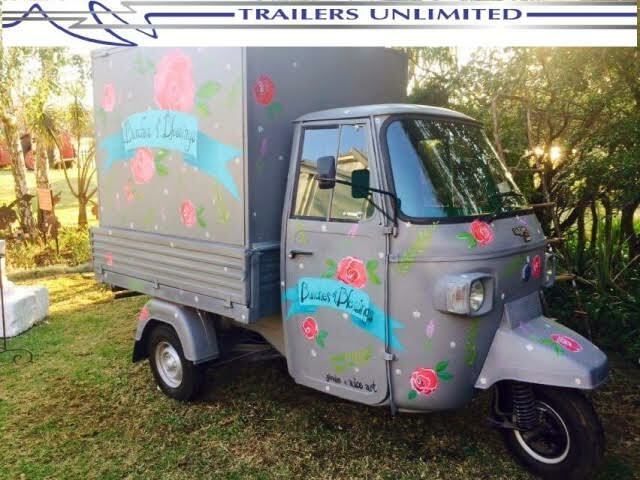 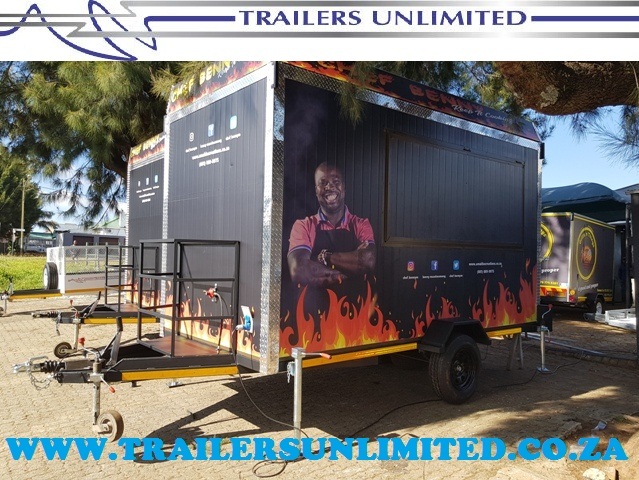 Trailers Unlimited recognises the value of leisure activities. 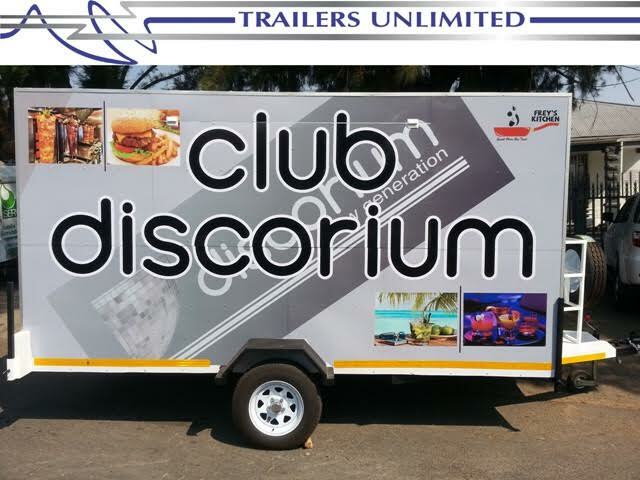 Our aim is to create an effortless and timeous journey to ensure maximum leisure time. 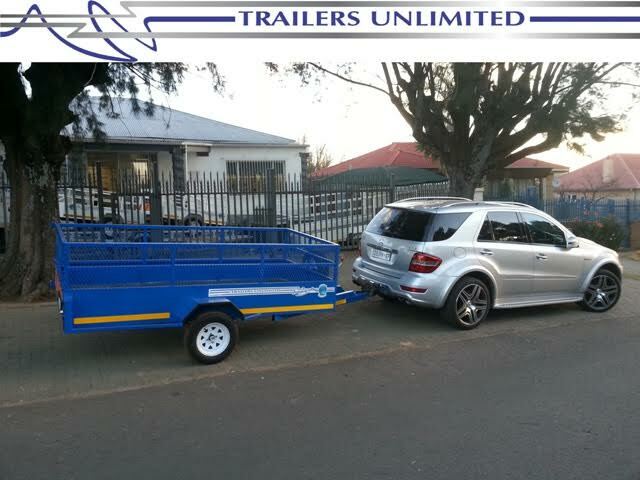 Each leisure trailer is designed to suit the load, activity and individual desires of our clients. 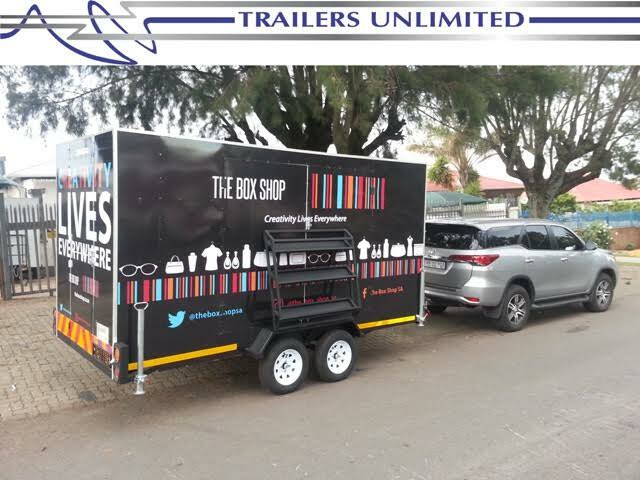 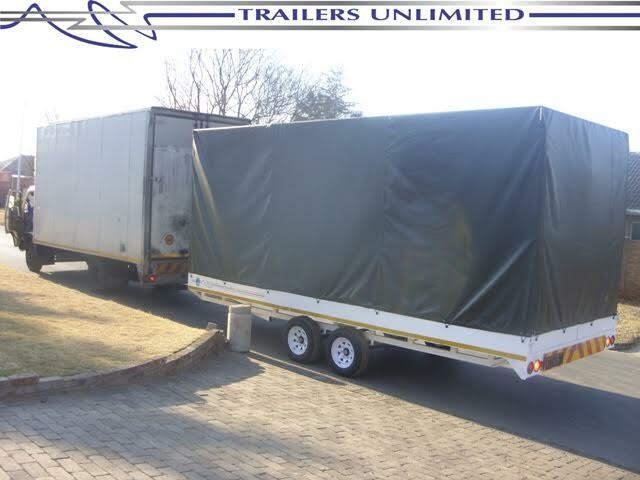 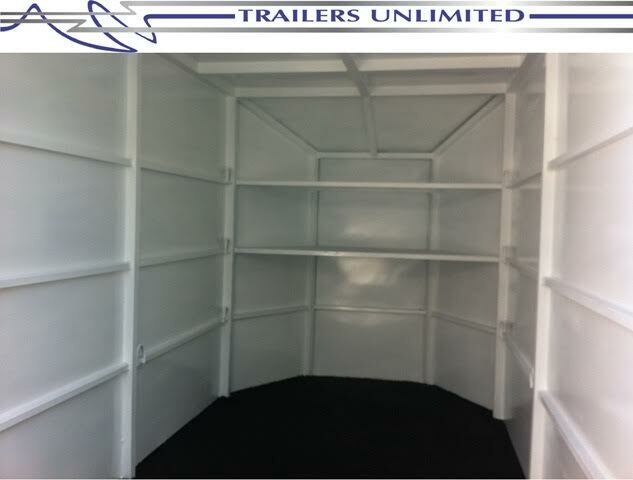 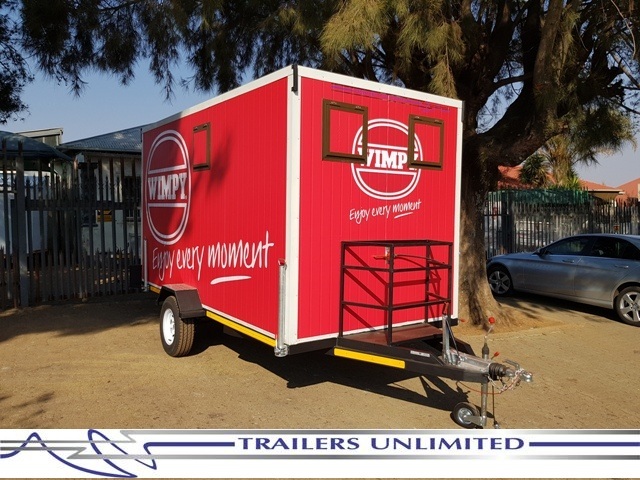 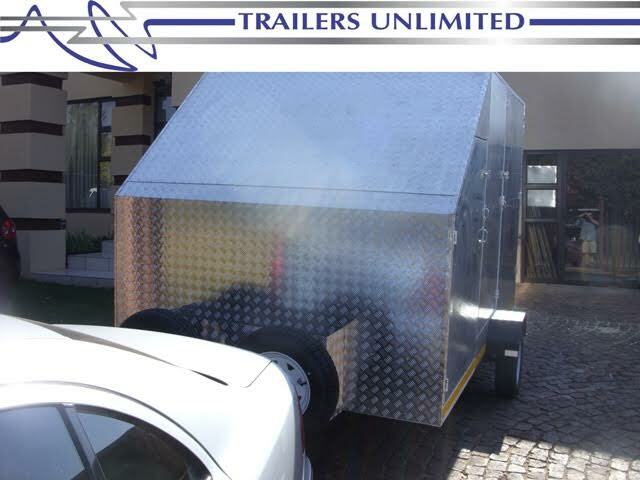 We at Trailers Unlimited offer a diverse selection of Enclosed Trailers which can be customized to suit the individual load requirements. 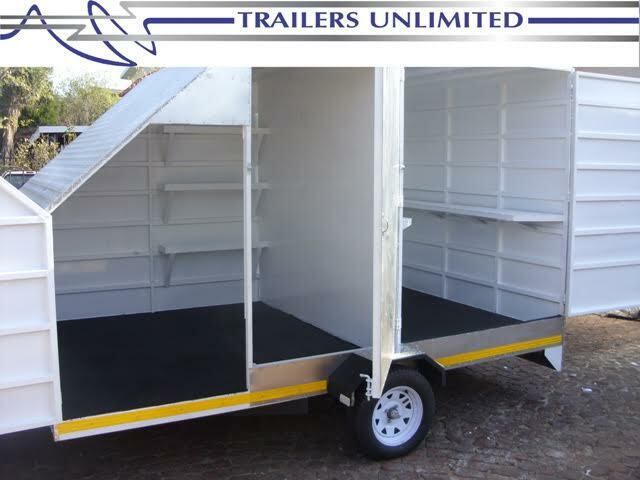 Our units are manufactured with either Chromodek Panelling or Insulated panels and are fully weatherproof! 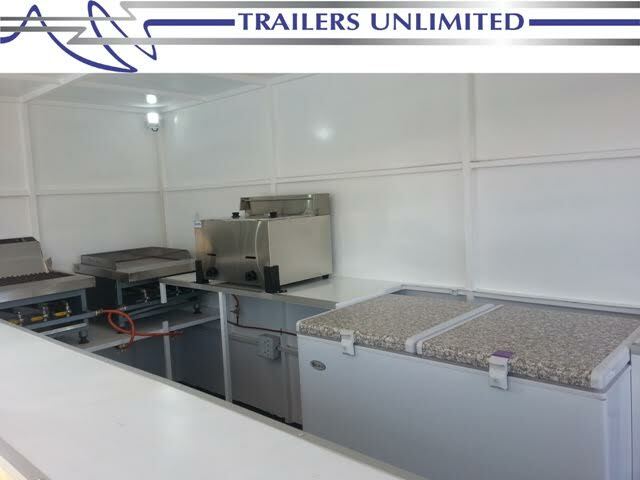 The interior design and access points (single swing doors/ double swing doors/ side doors etc) are left to the client’s discretion so as to ensure optimum space utilization and loading ease. 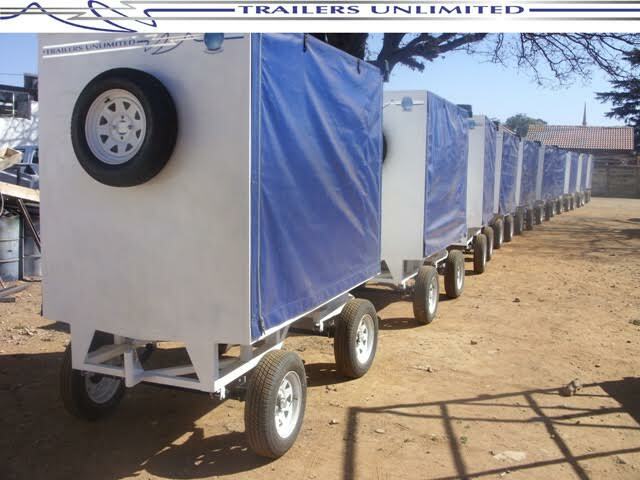 All our chassis are manufactured from A grade steel utilizing rectangular and square tubing as we believe in building trailers that can withstand every load. 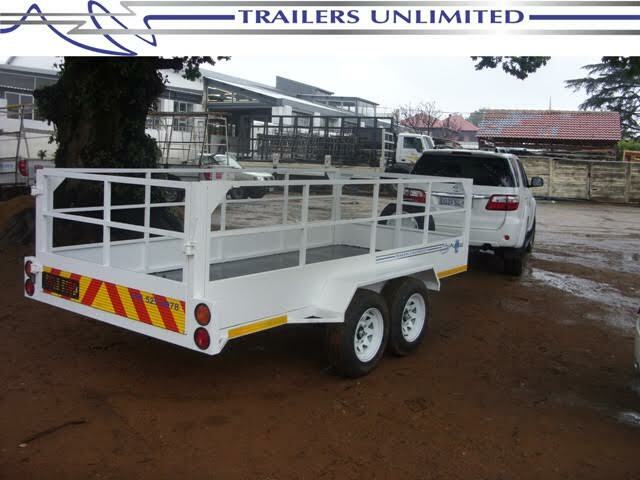 Here at Trailers Unlimited we believe in building trailers that directly suit the desired purpose and our Farming Trailers are no exception. 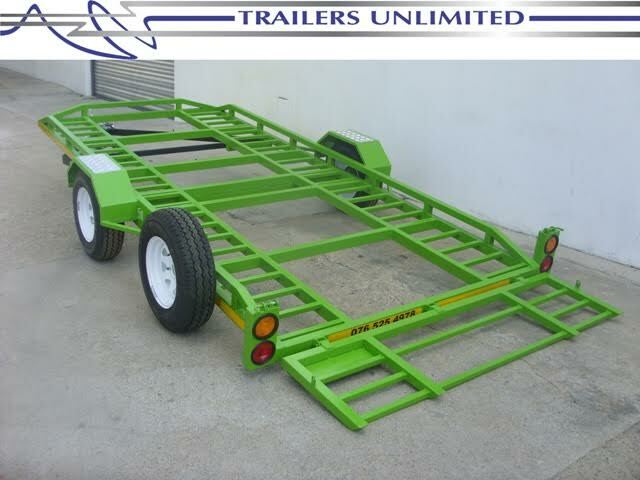 We manufacture high quality durable trailers that are capable of performance so as to improve farming activities. 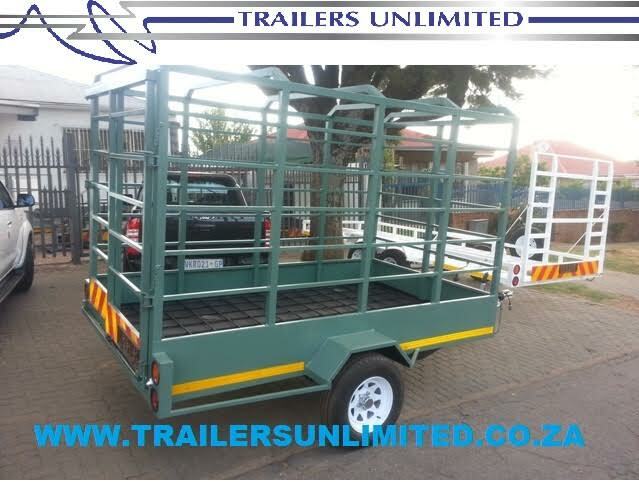 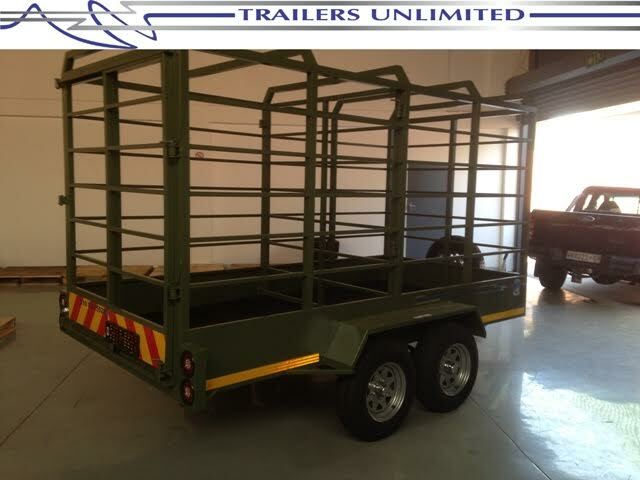 Our Cattle Trailers are built around strength as well as the safety of the livestock. 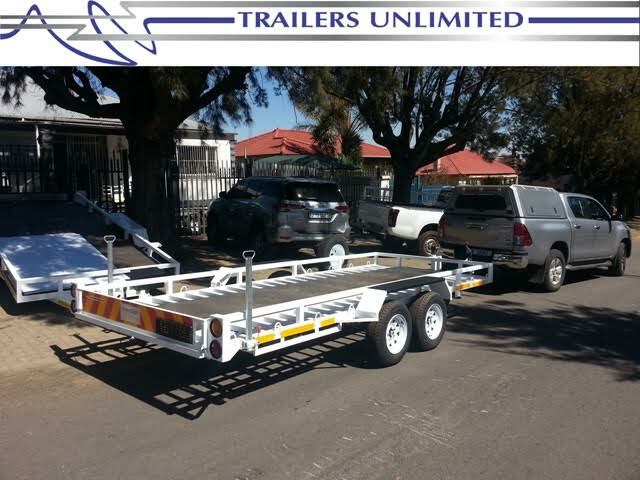 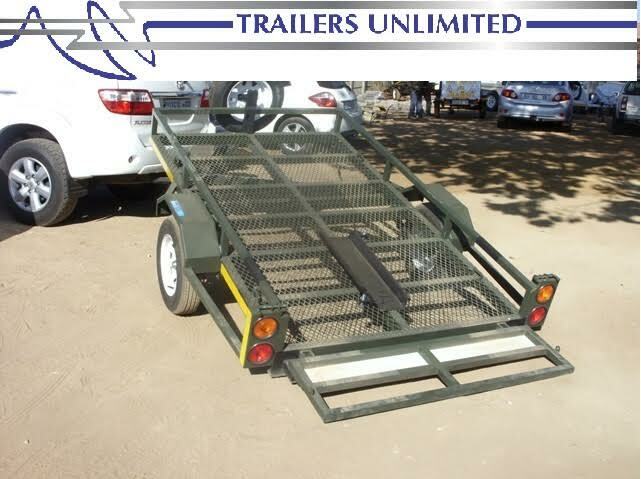 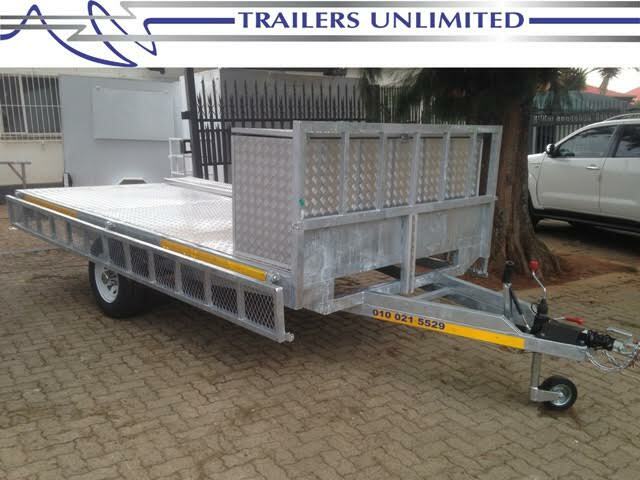 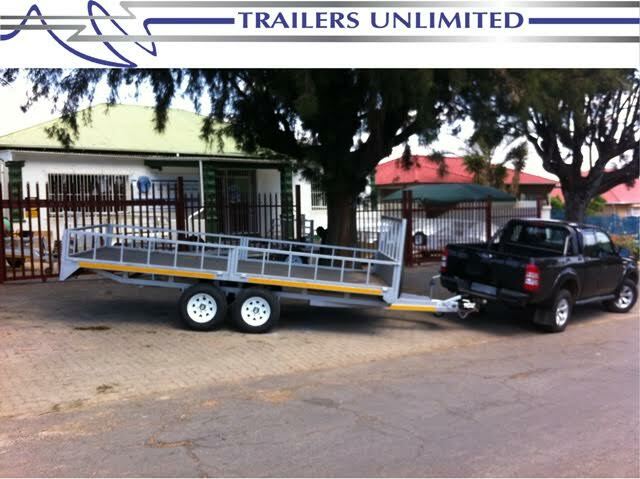 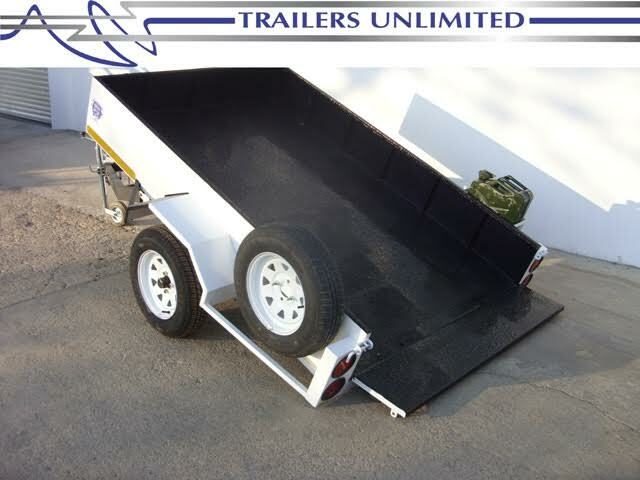 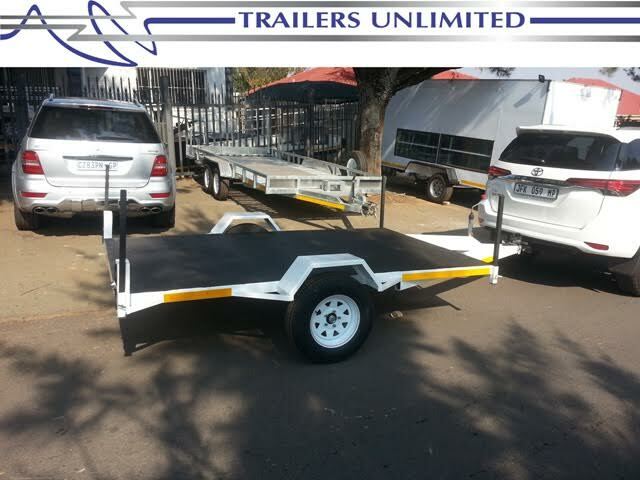 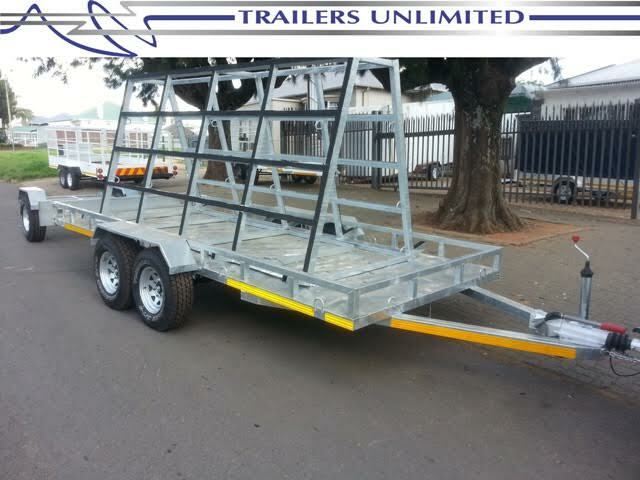 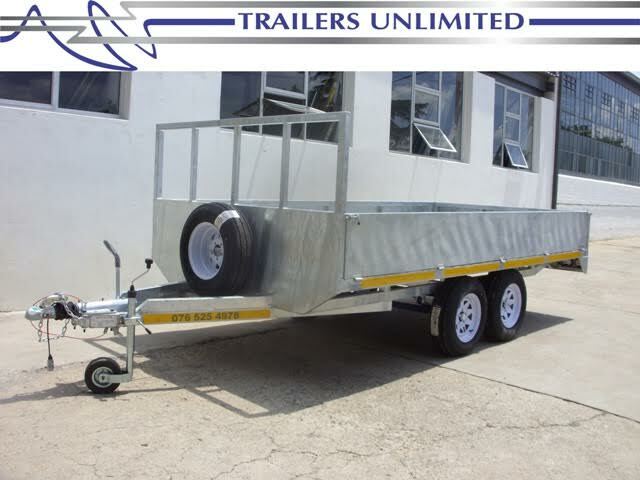 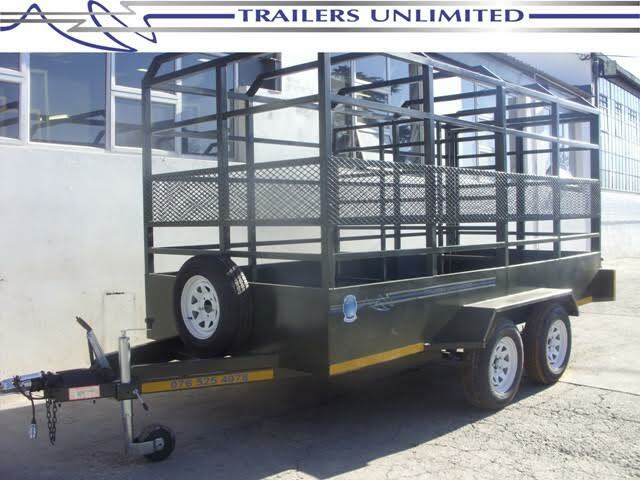 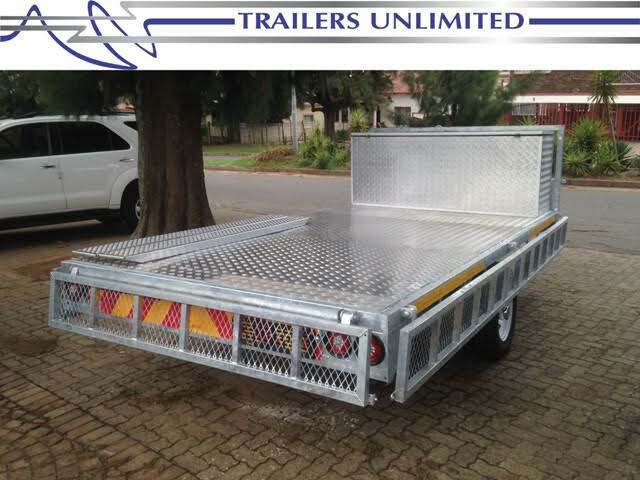 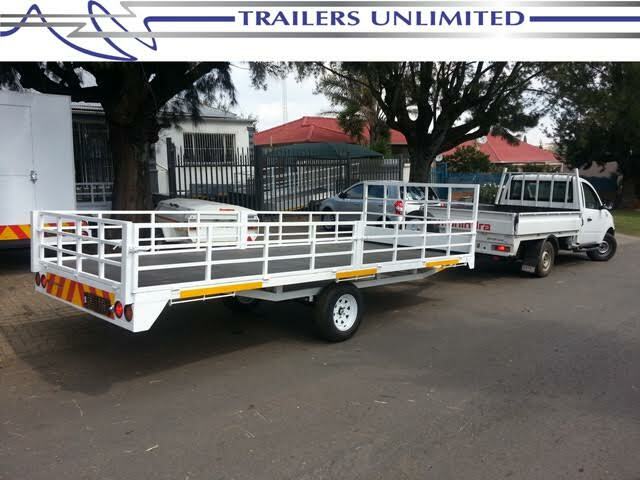 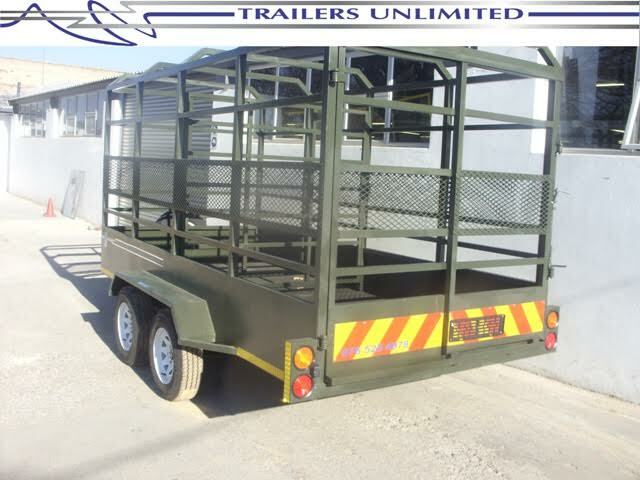 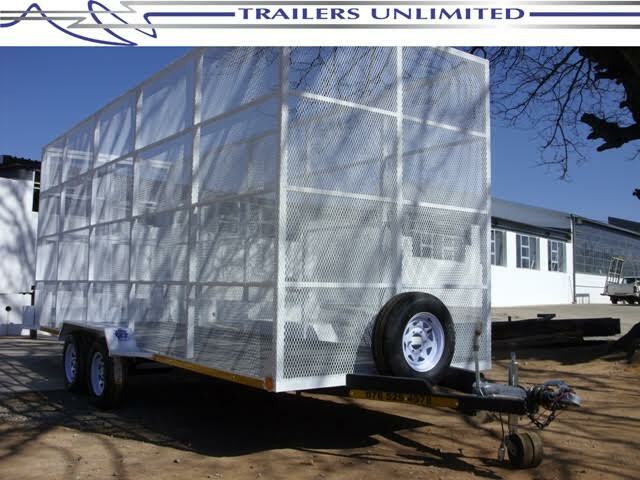 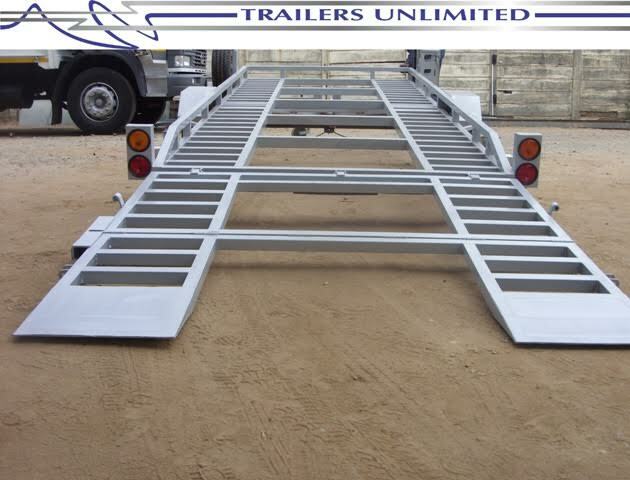 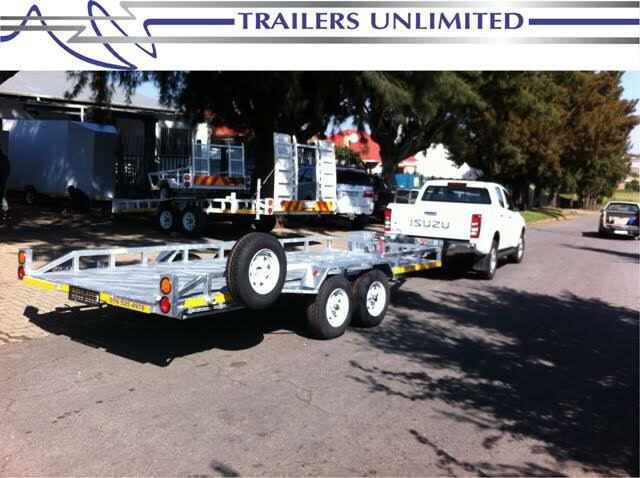 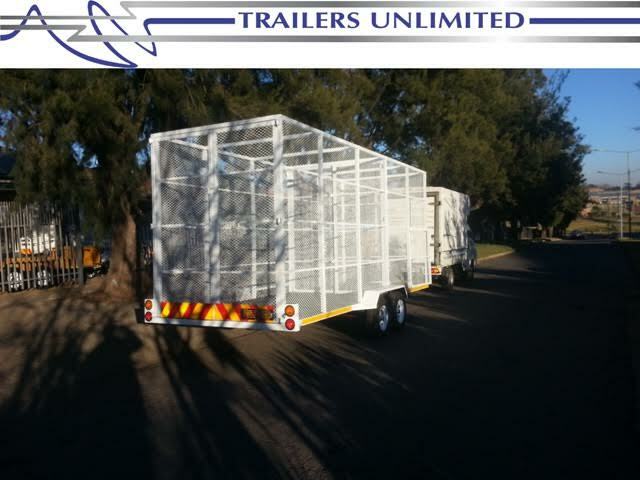 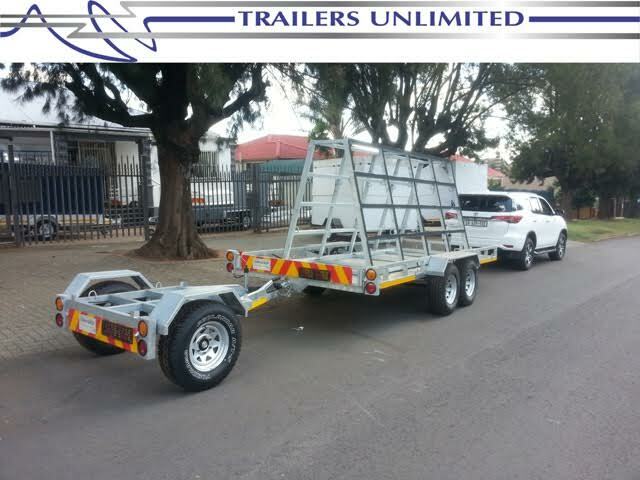 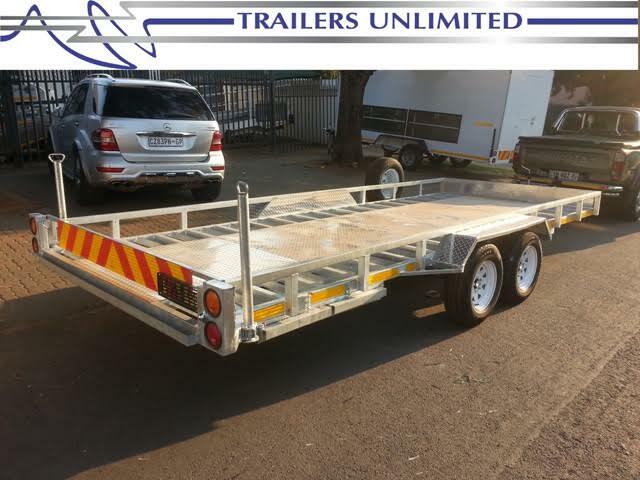 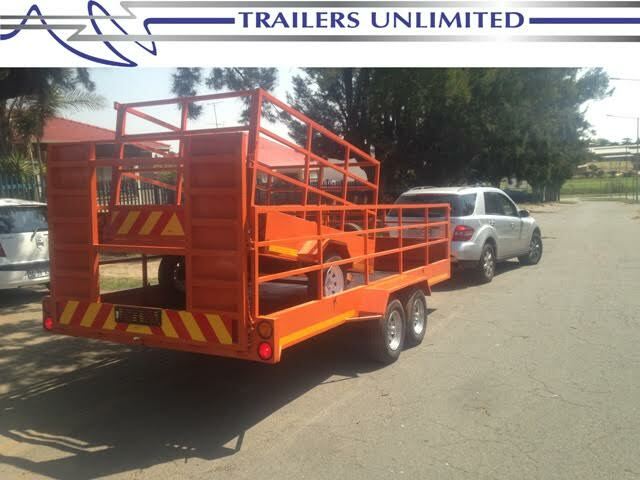 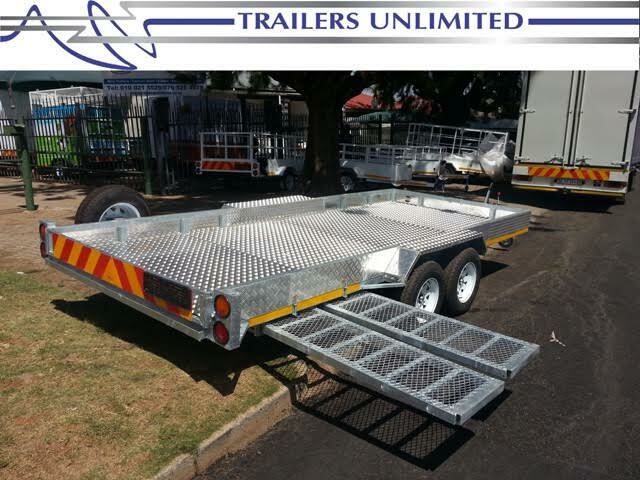 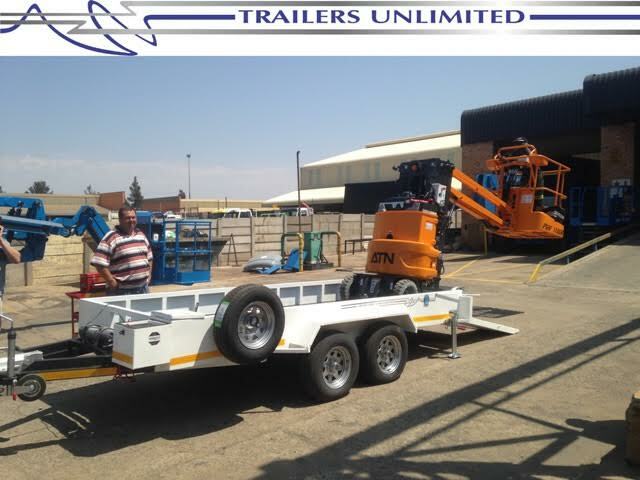 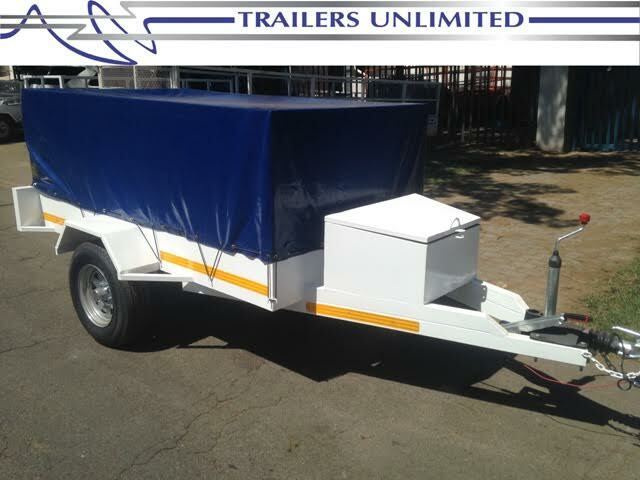 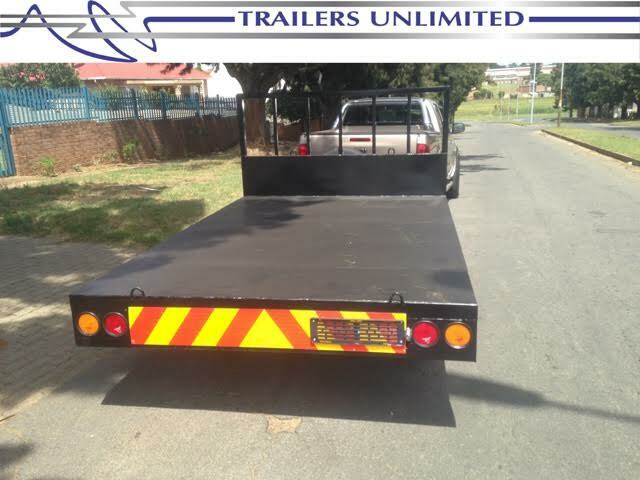 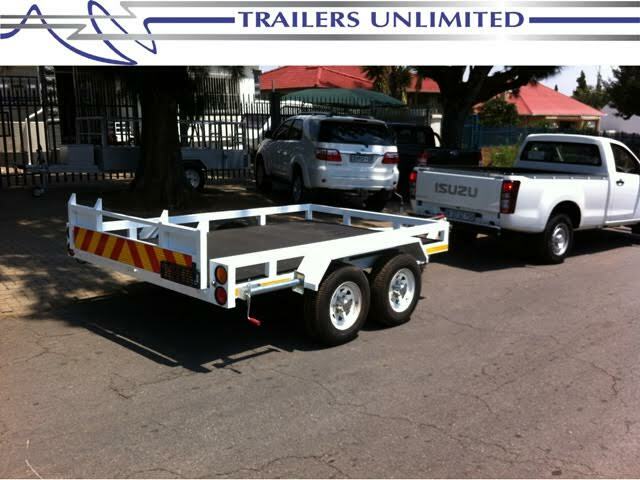 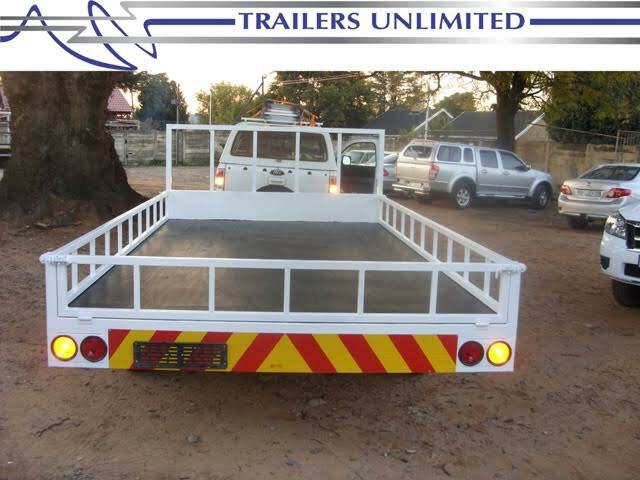 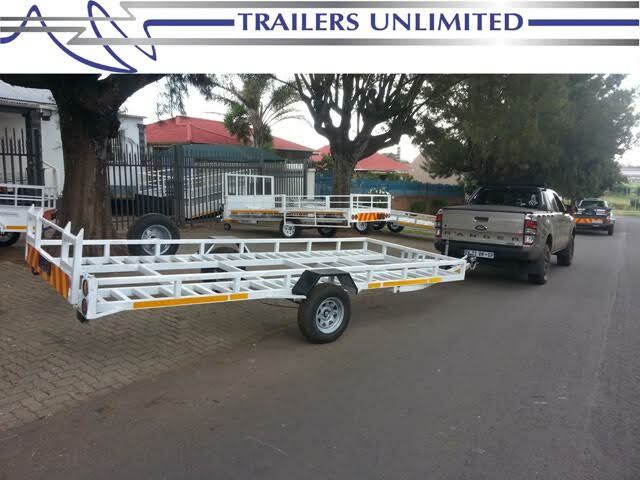 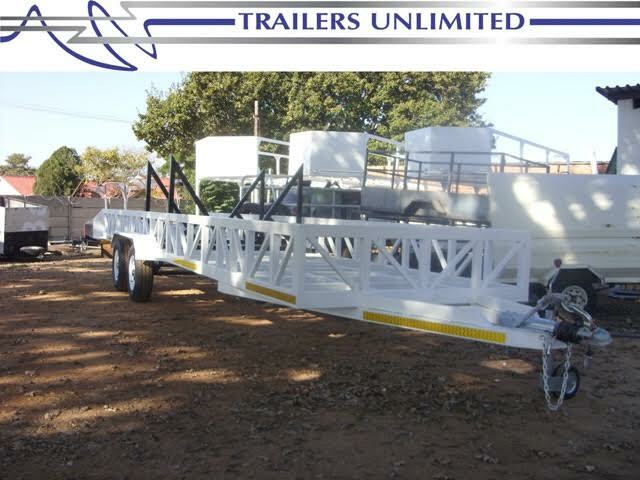 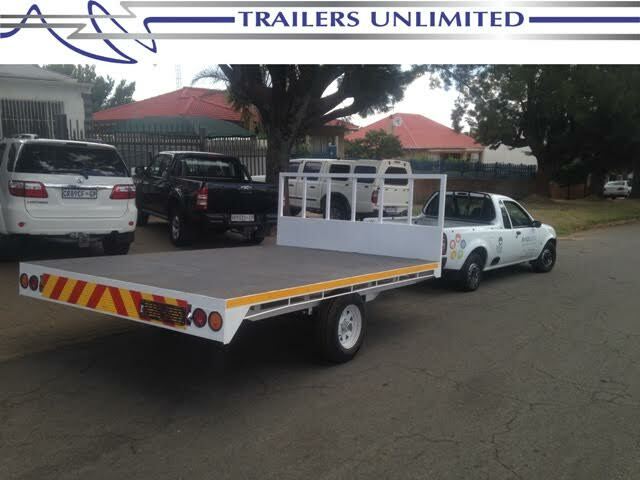 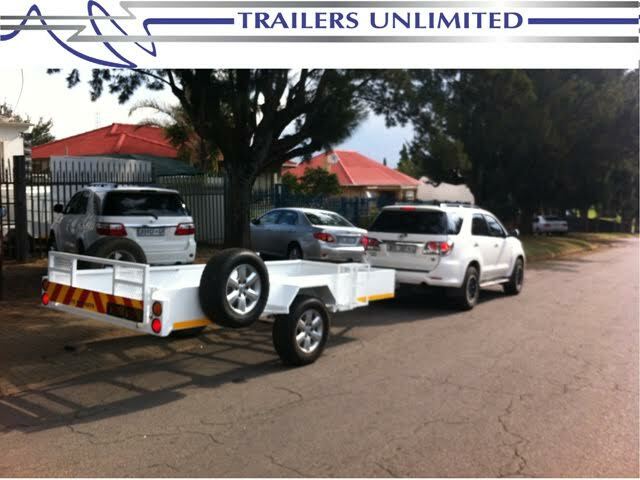 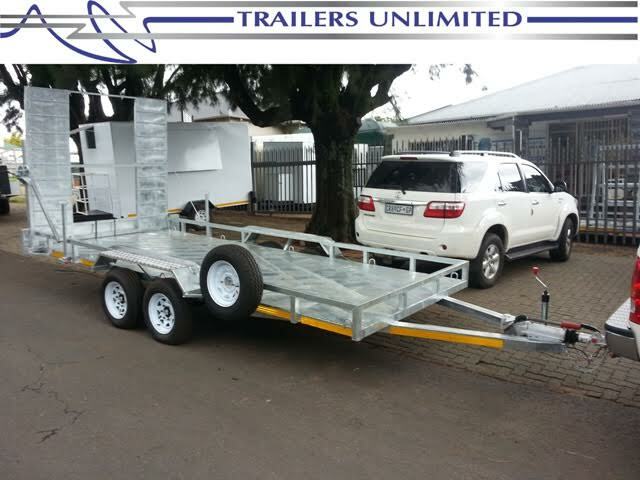 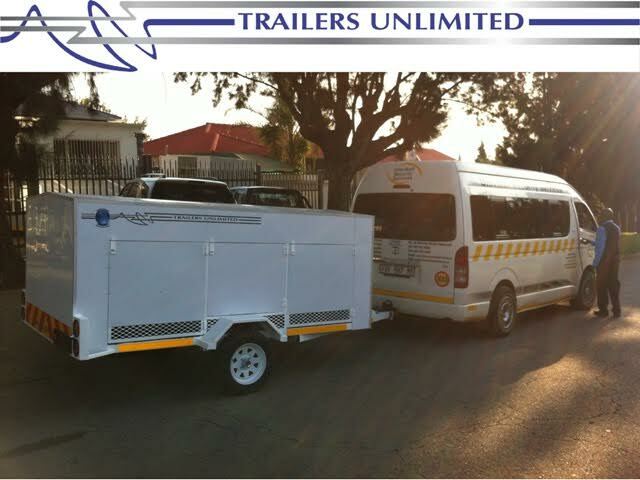 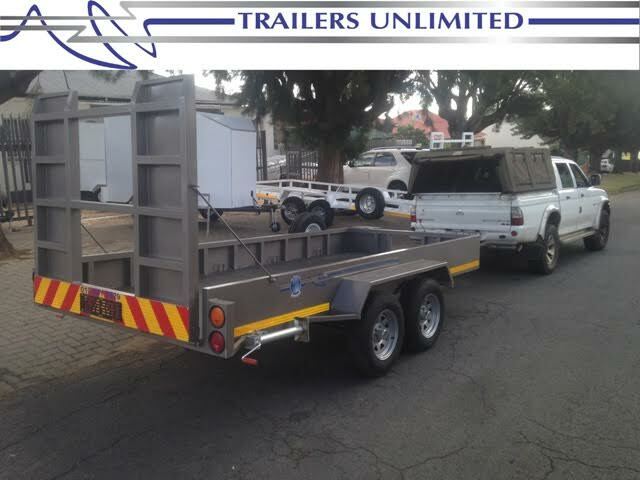 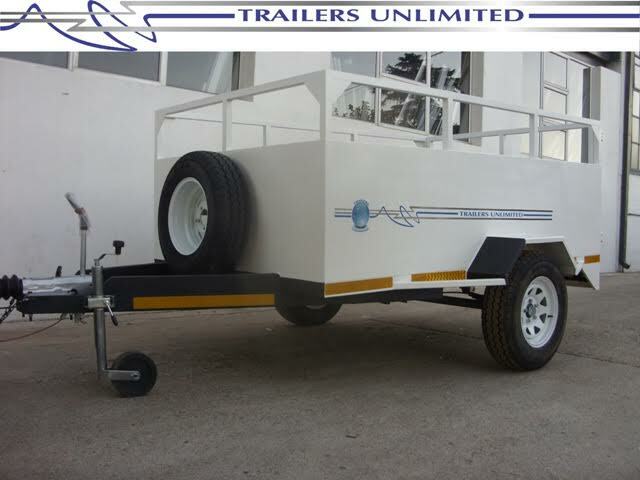 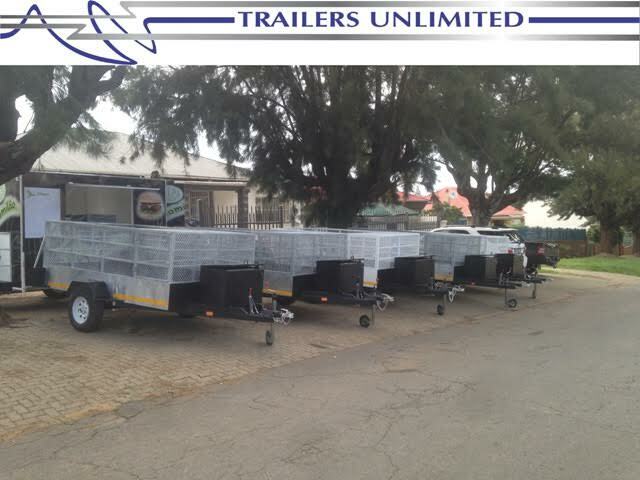 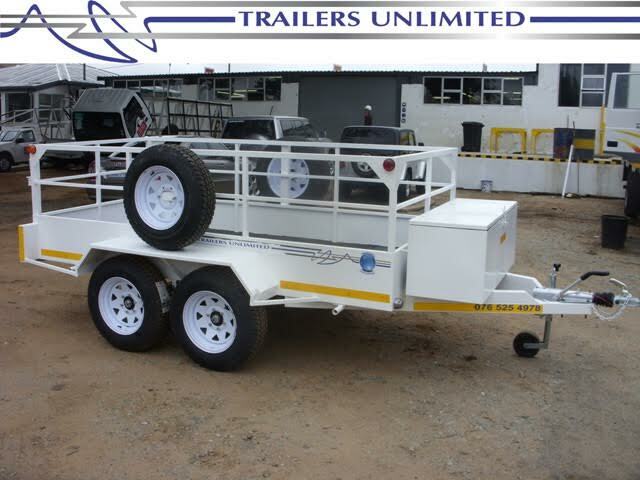 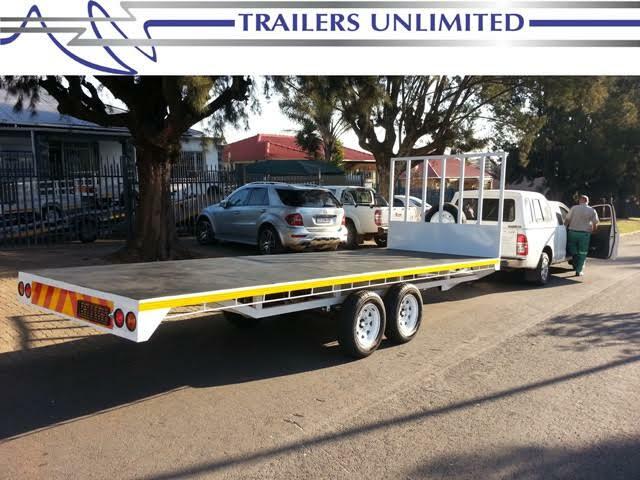 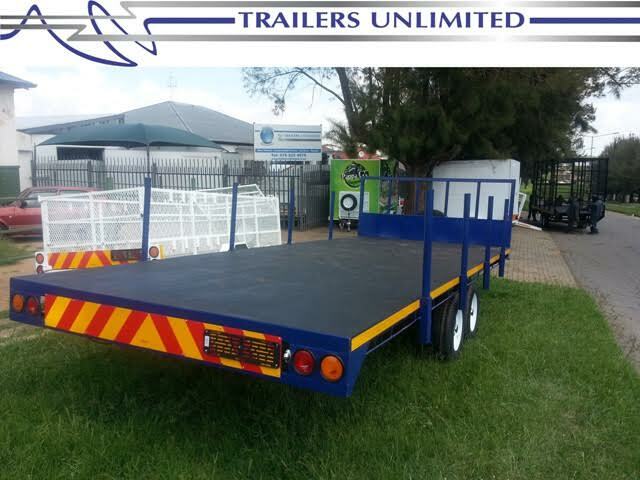 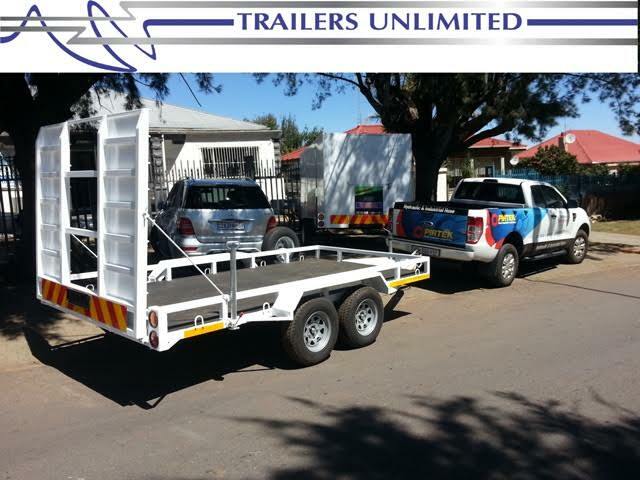 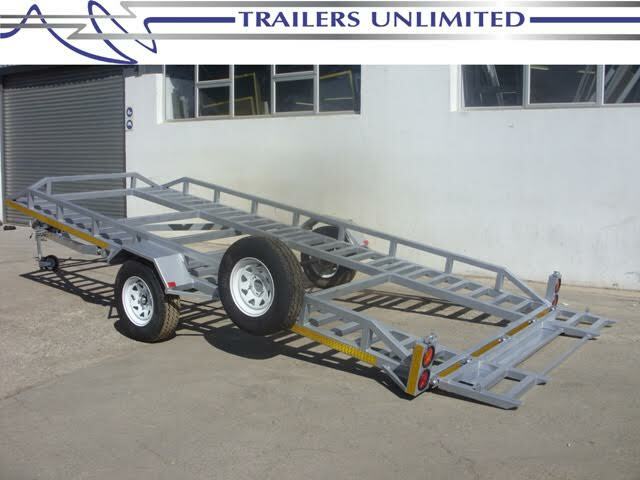 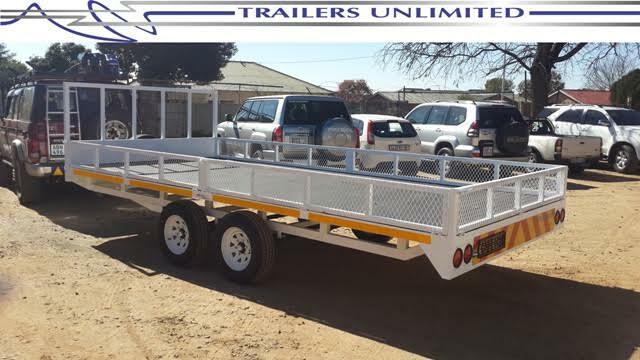 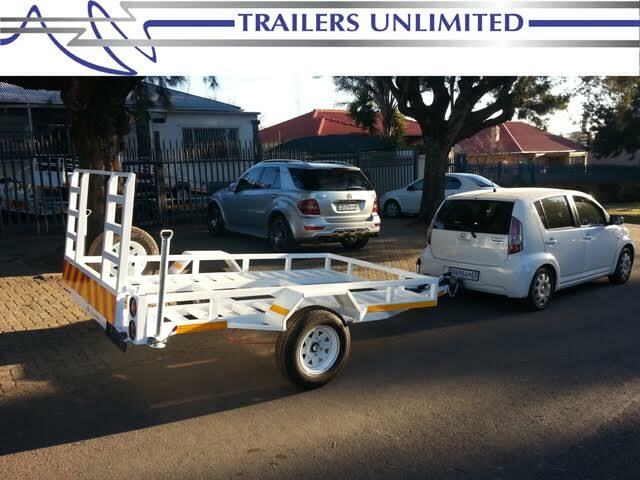 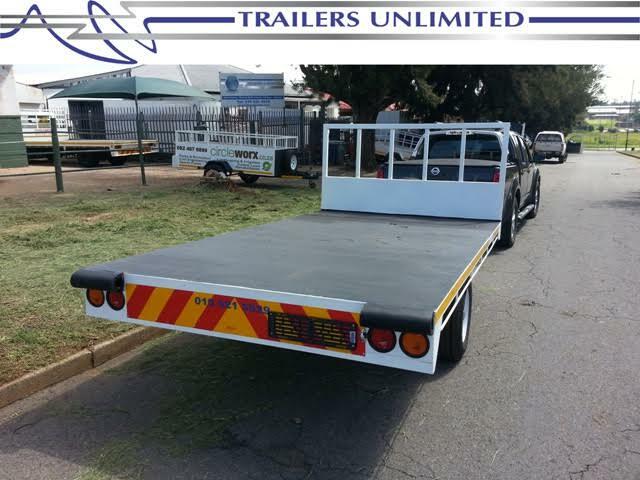 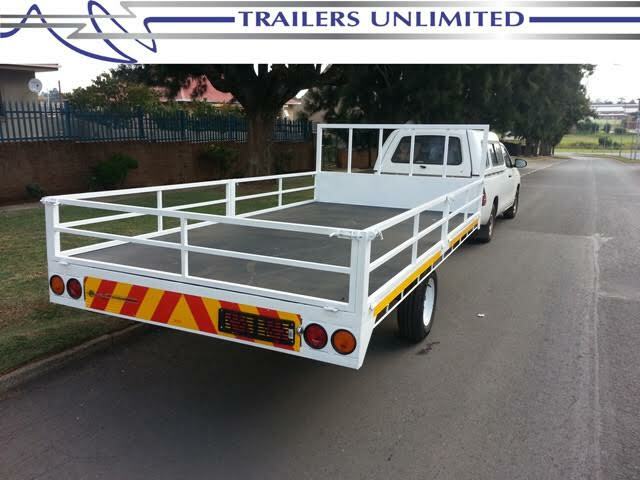 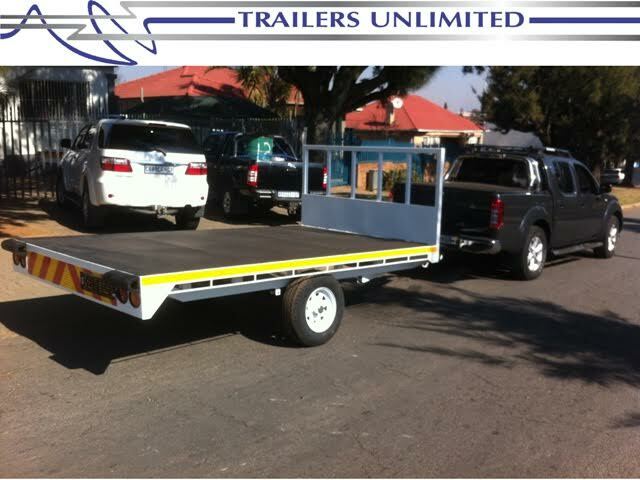 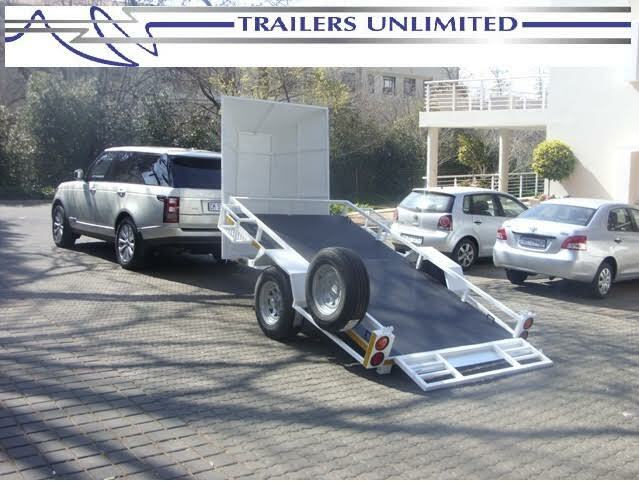 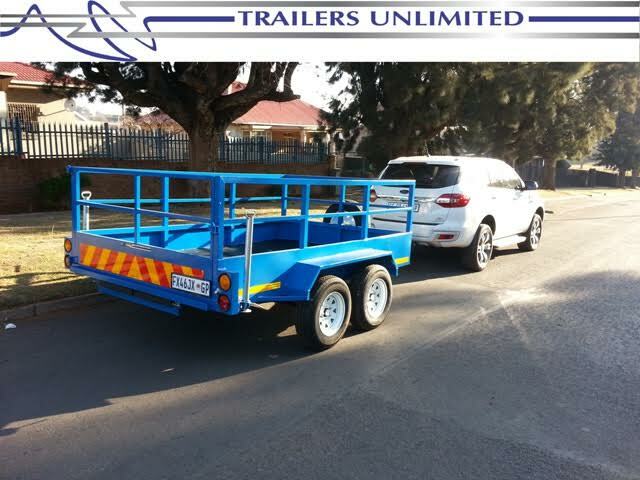 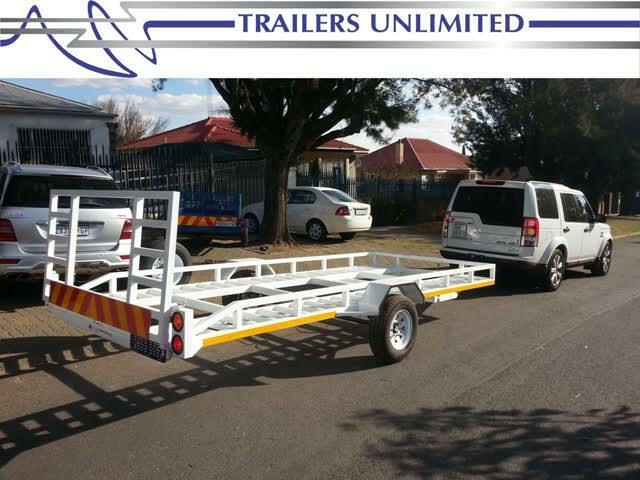 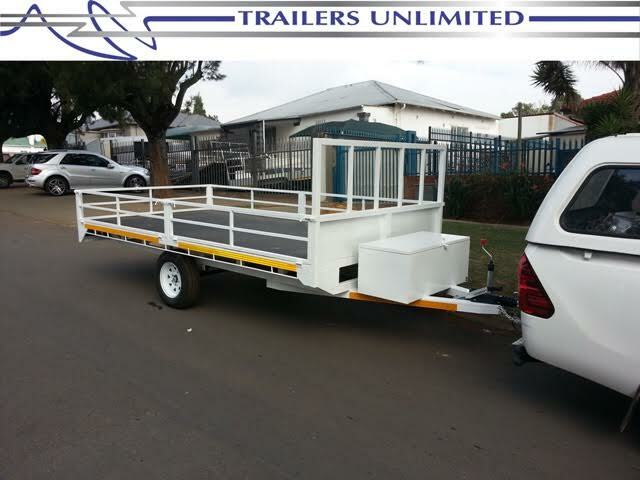 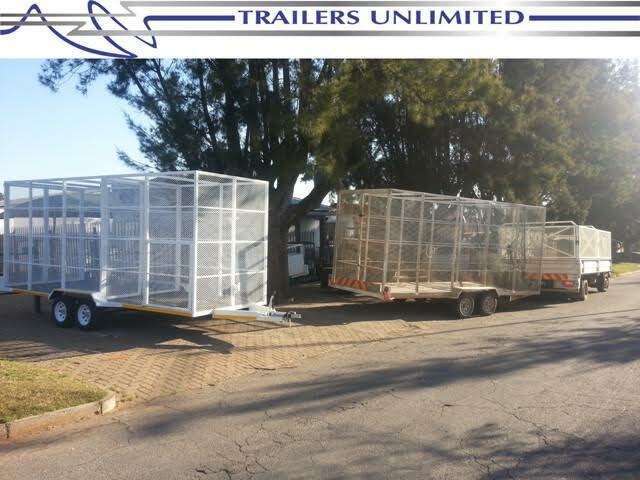 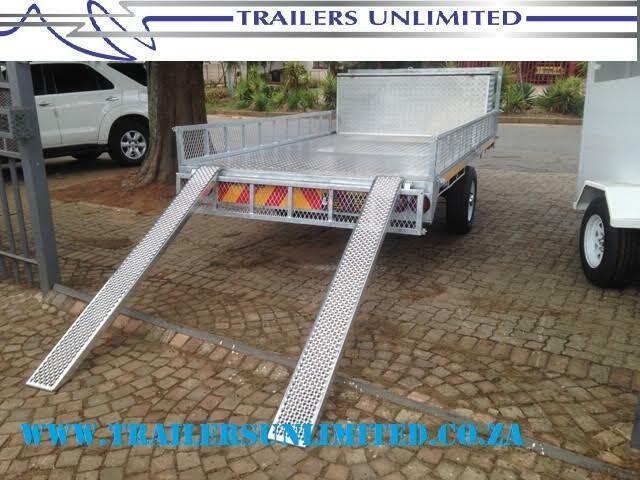 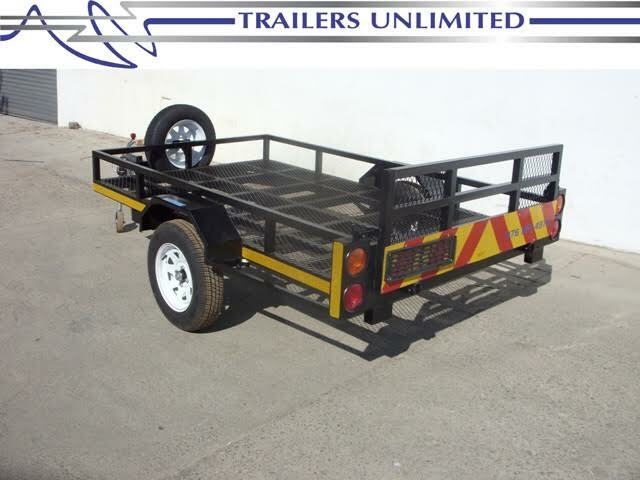 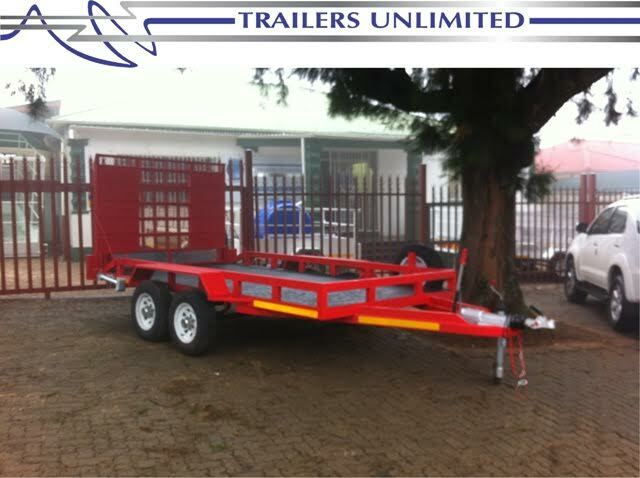 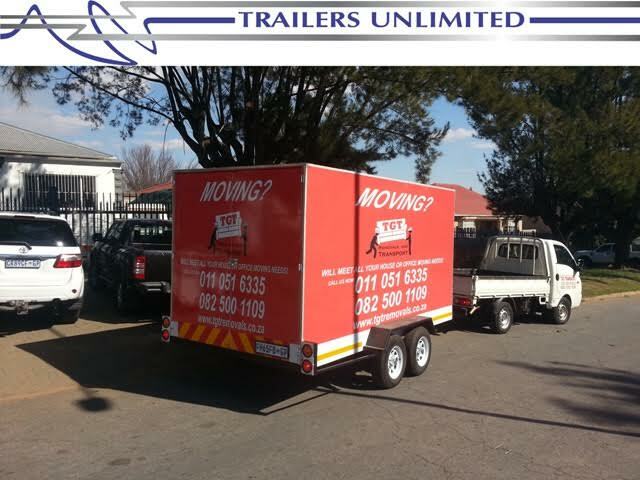 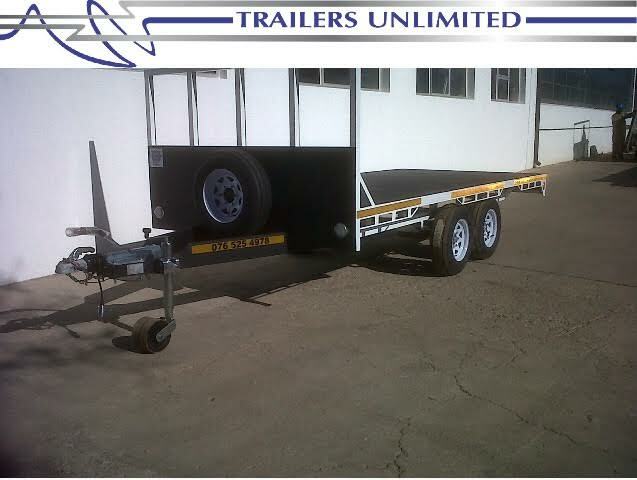 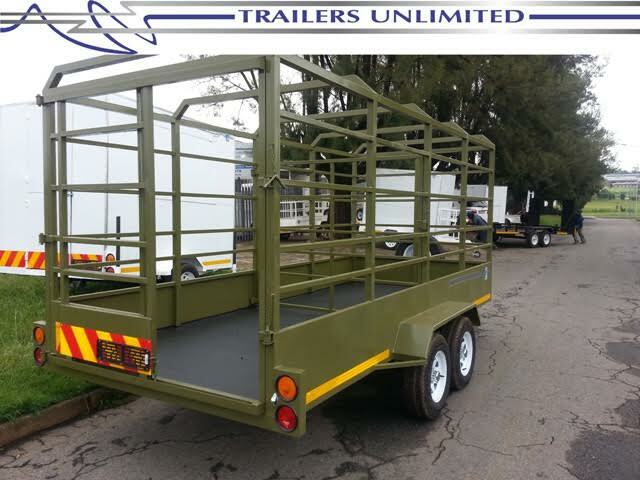 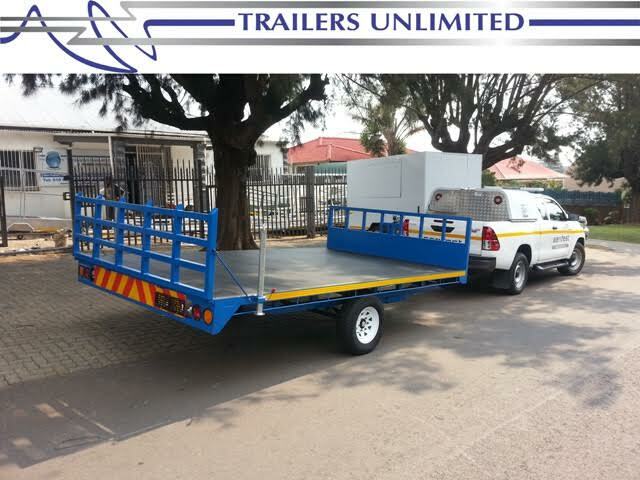 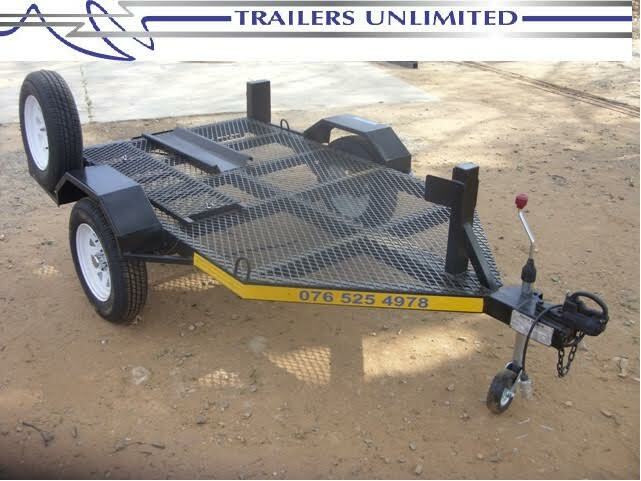 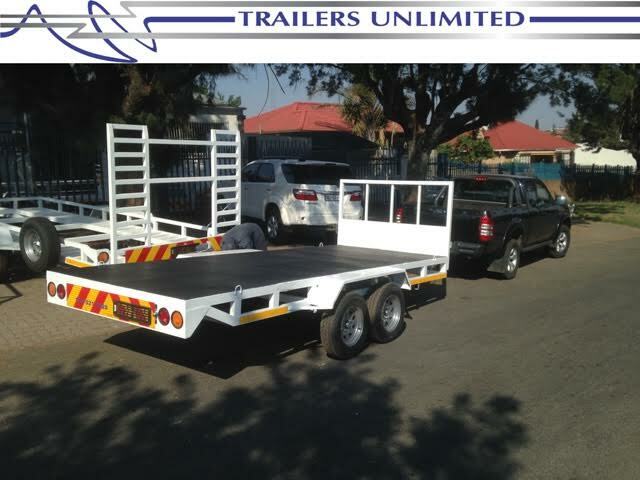 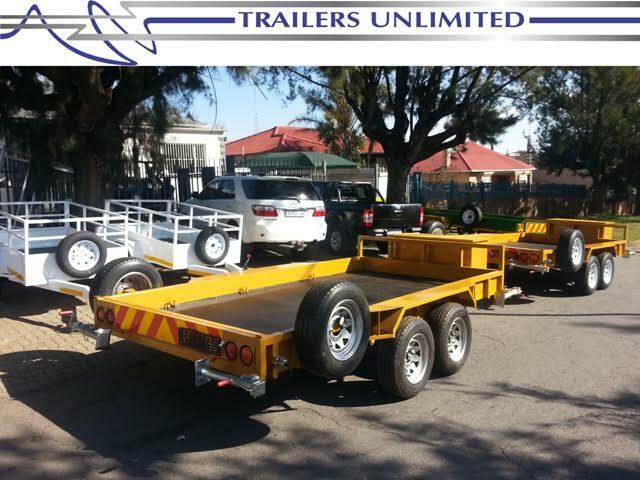 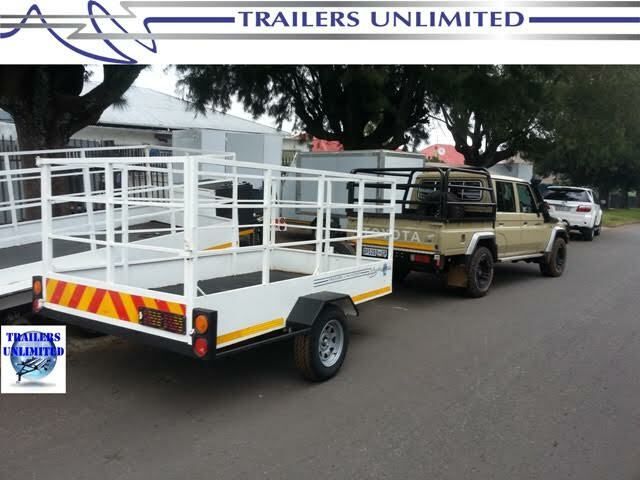 Trailers Unlimited offers durable Flat Bed Trailers custom built around each client’s individual specifications. 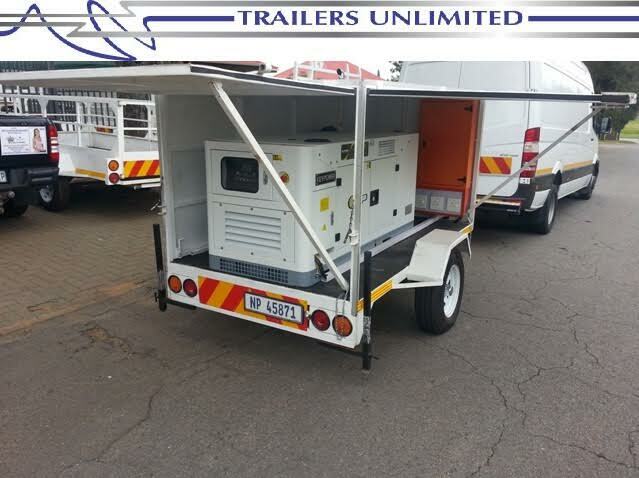 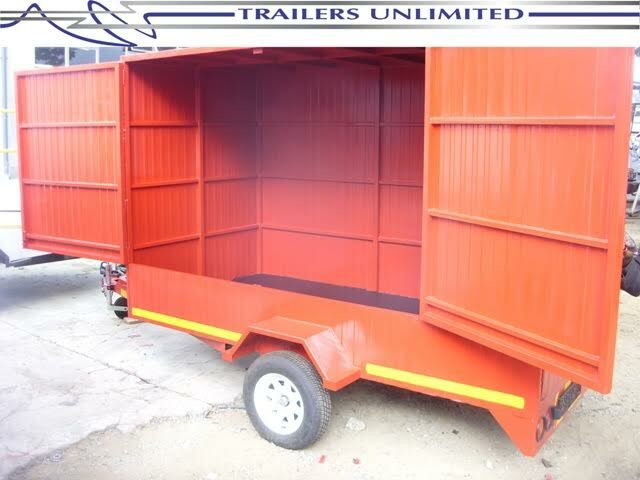 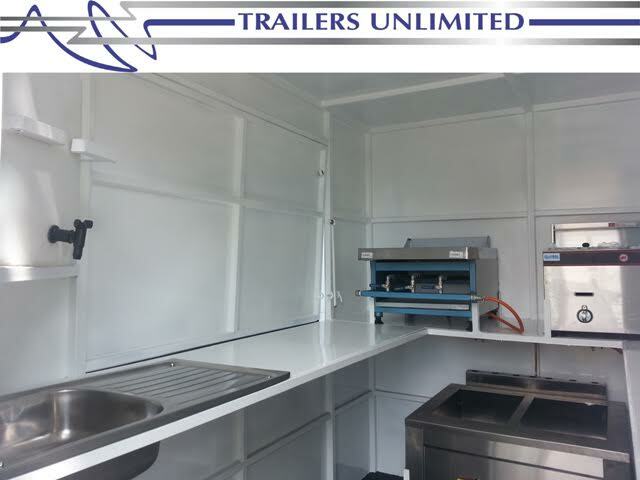 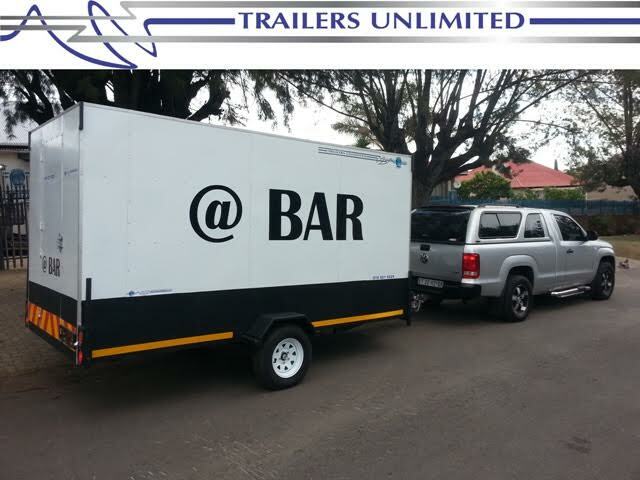 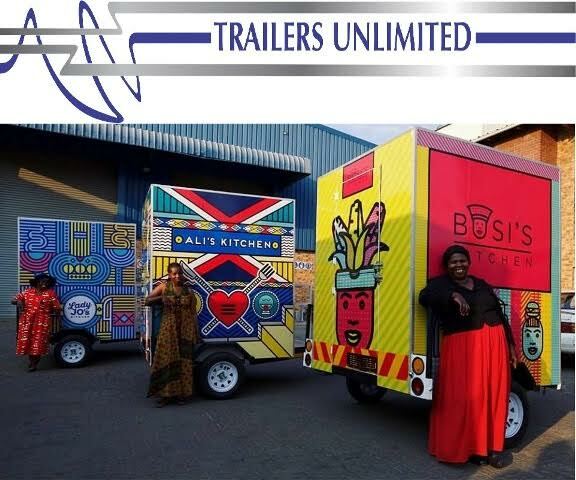 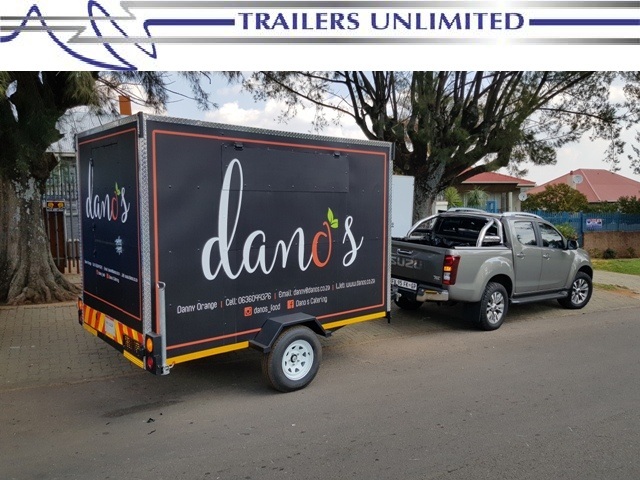 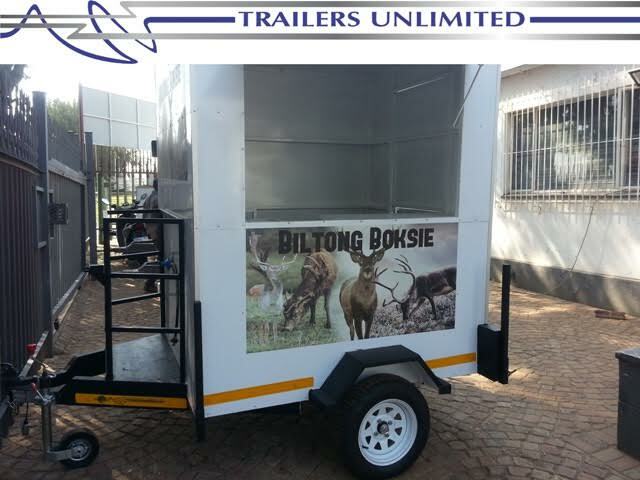 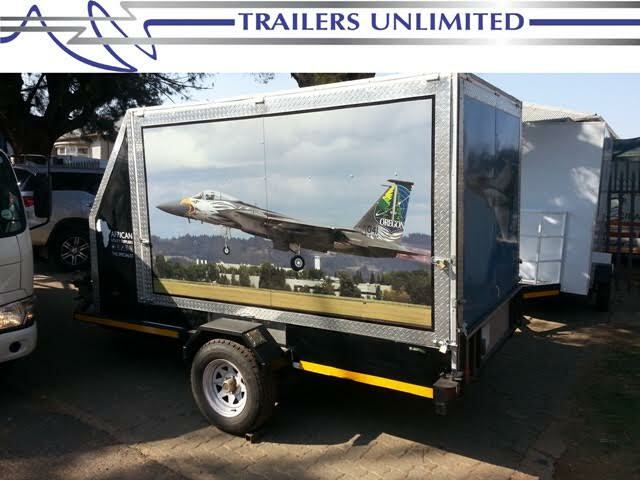 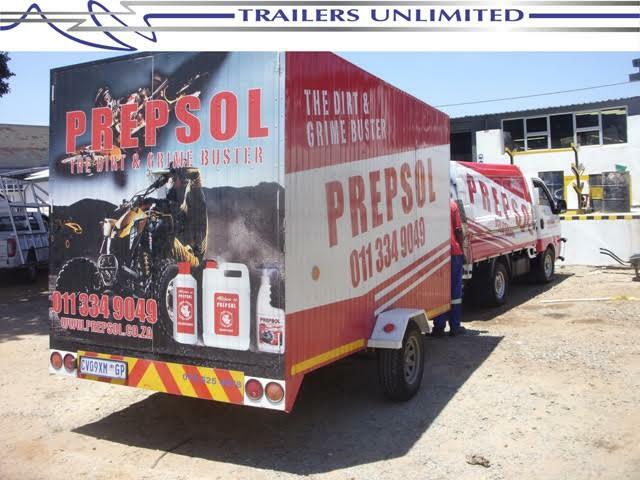 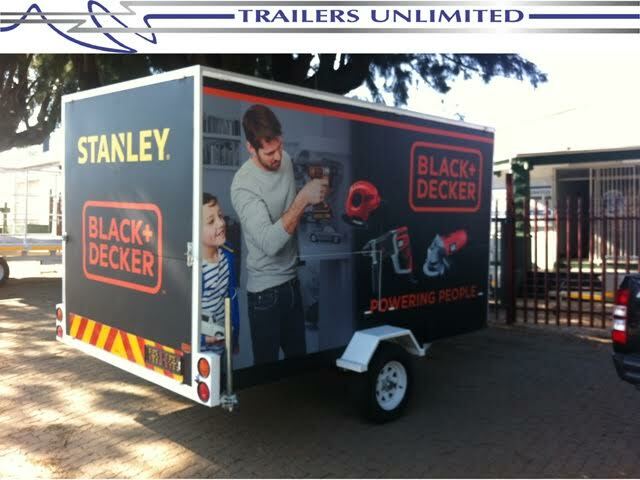 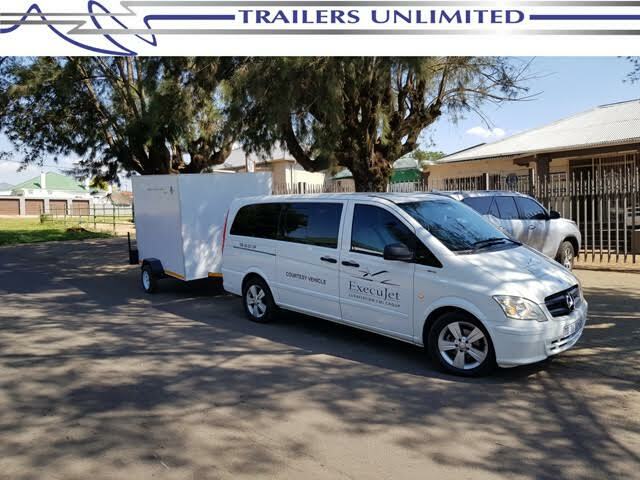 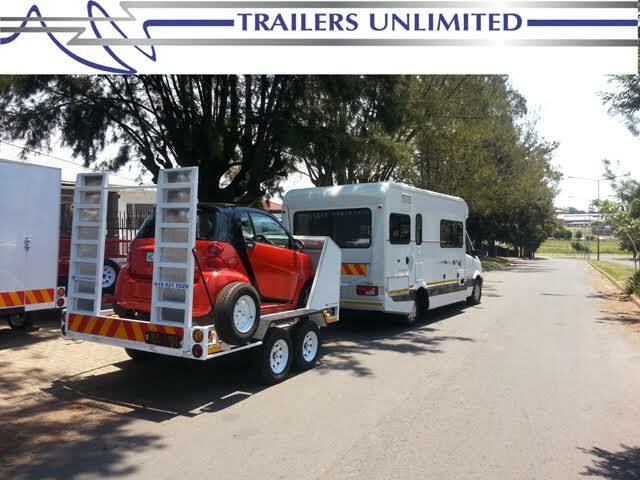 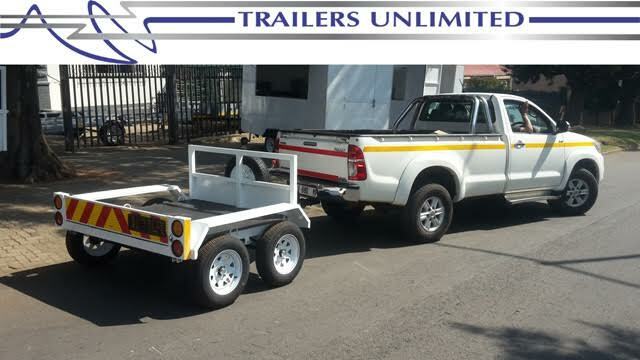 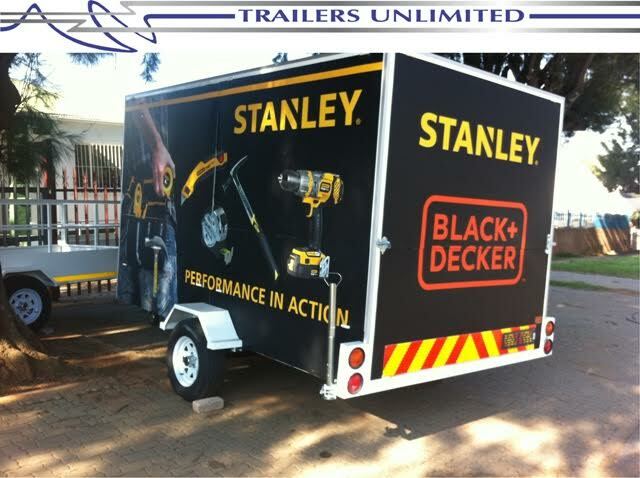 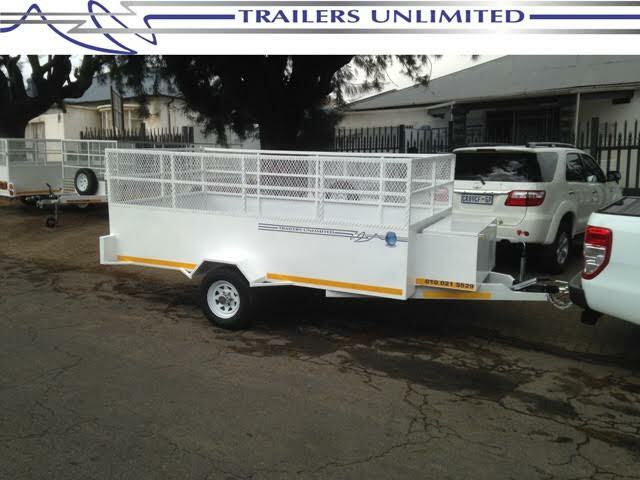 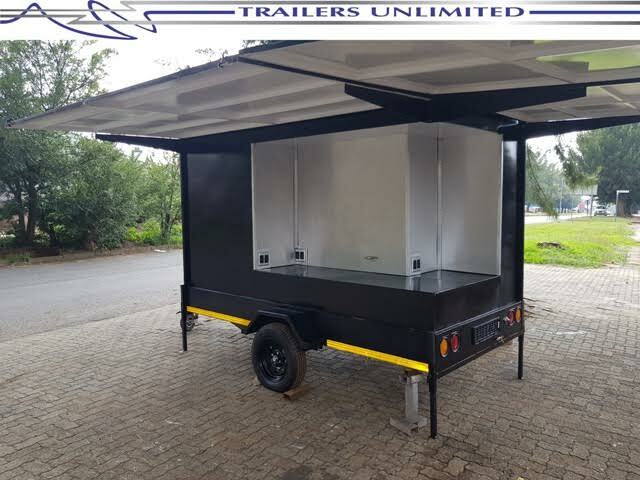 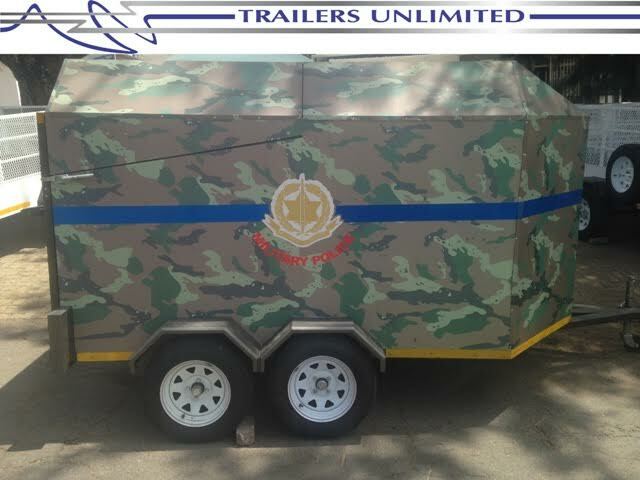 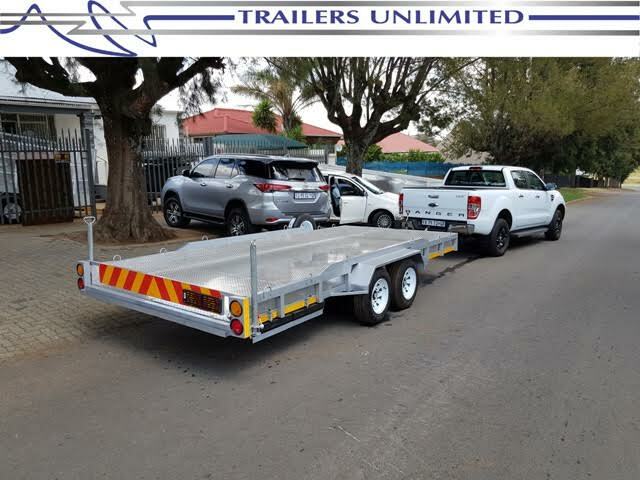 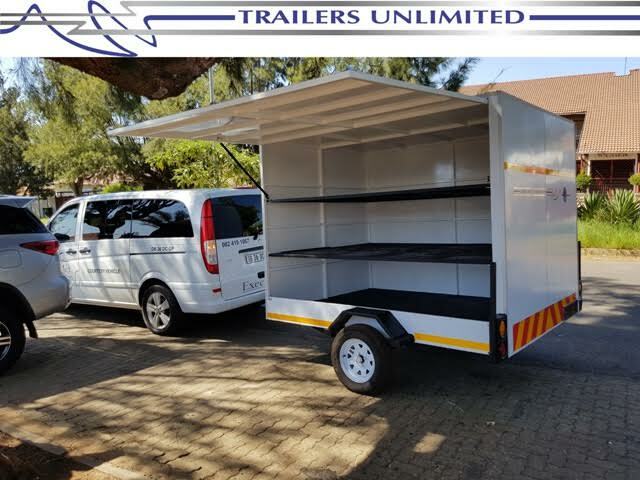 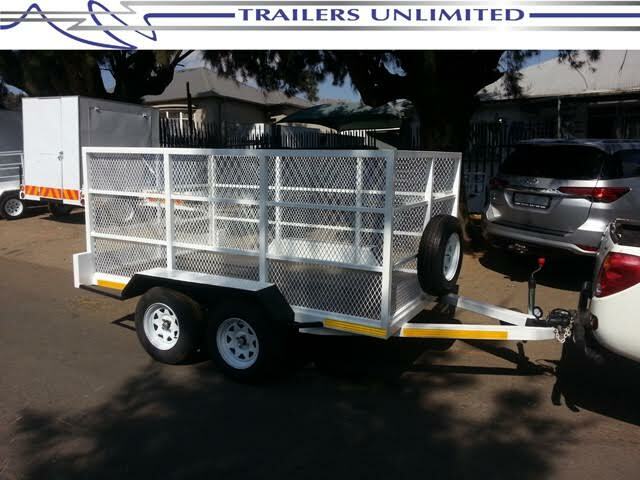 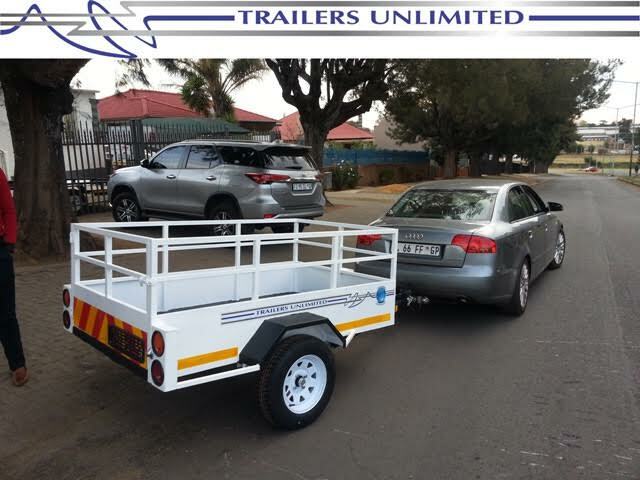 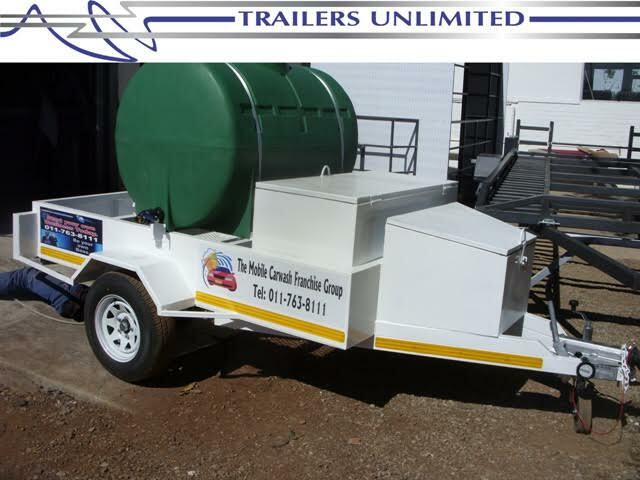 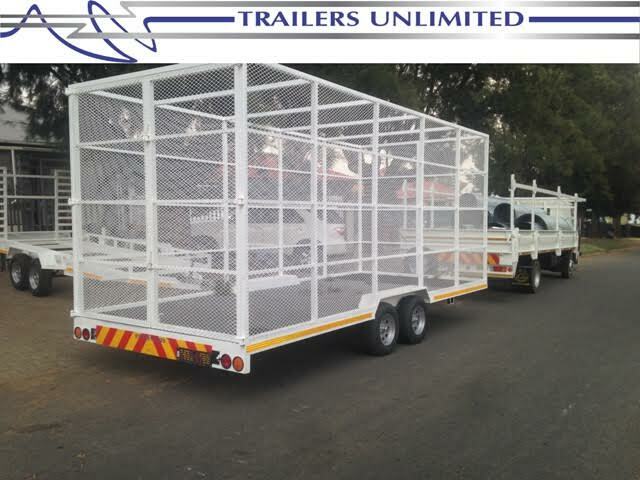 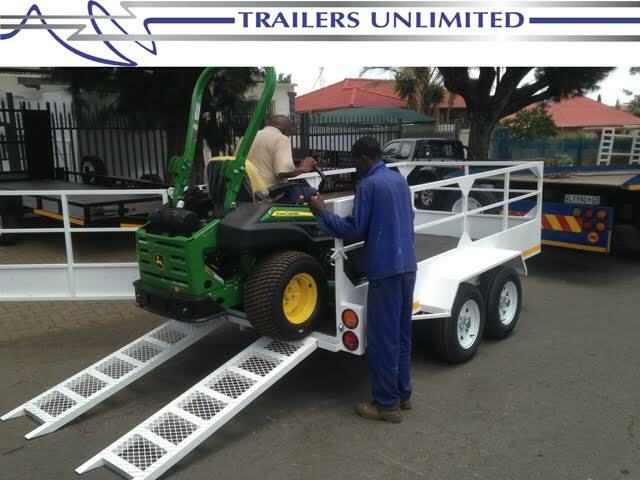 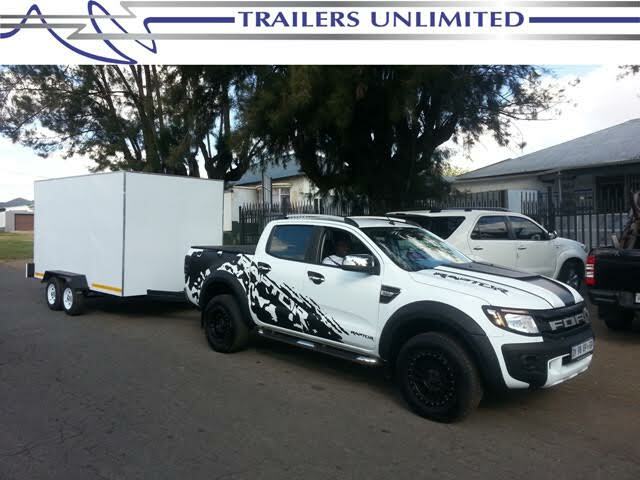 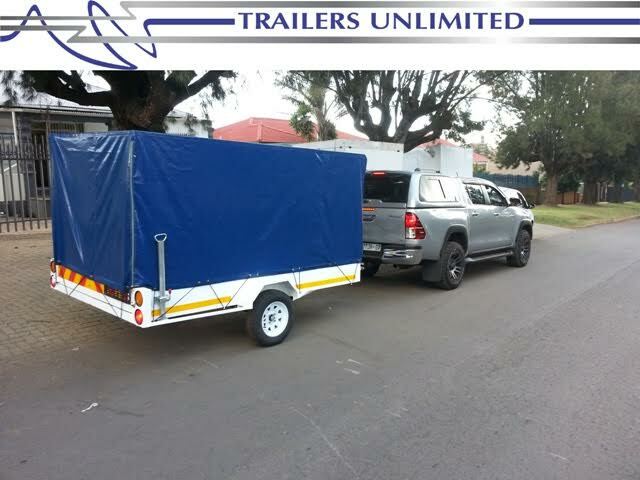 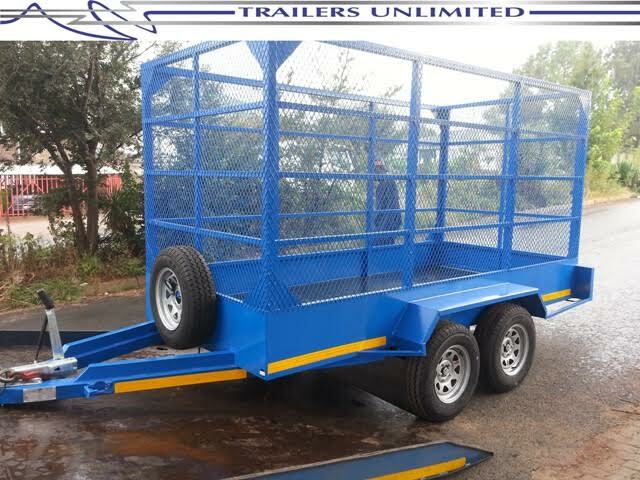 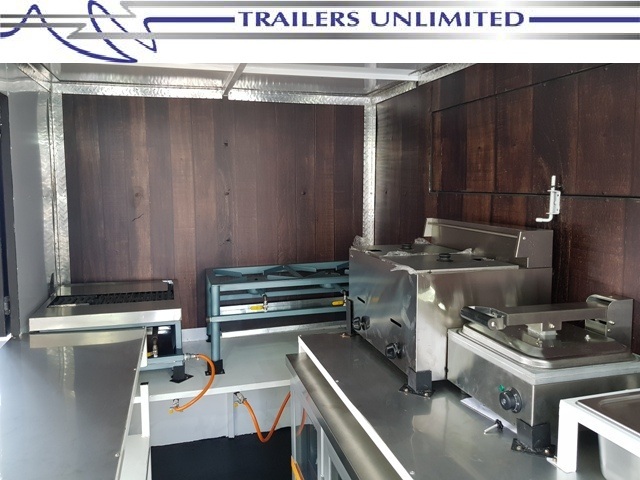 At Trailers Unlimited we strive to ensure each Utility Trailer exudes strength and multi –purpose without limiting the desired customisation. 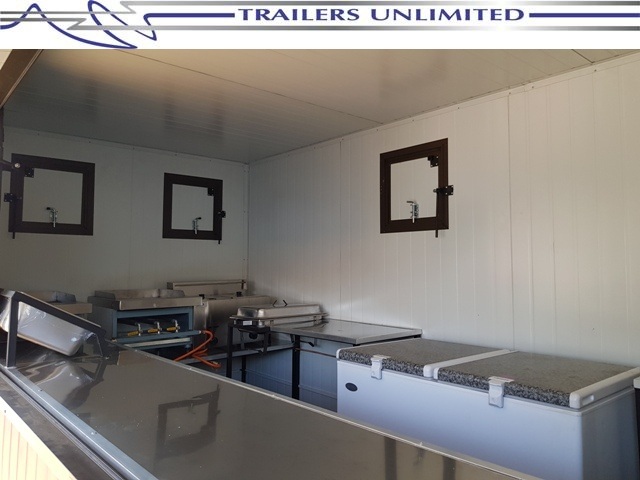 For all garden service, general rubble removal, recycling, furniture, luggage & commercial use we are capable of ticking the appropriate boxes and more. 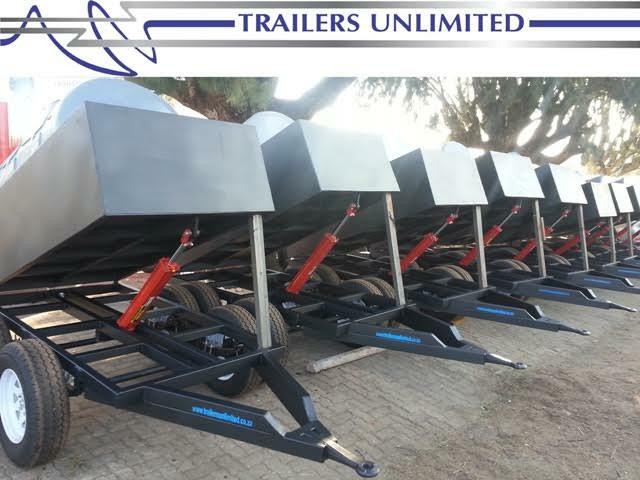 All our chassis are manufactured from A grade steel utilizing rectangular and square tubing allowing for a work horse that will out-perform similar trailers in the market. 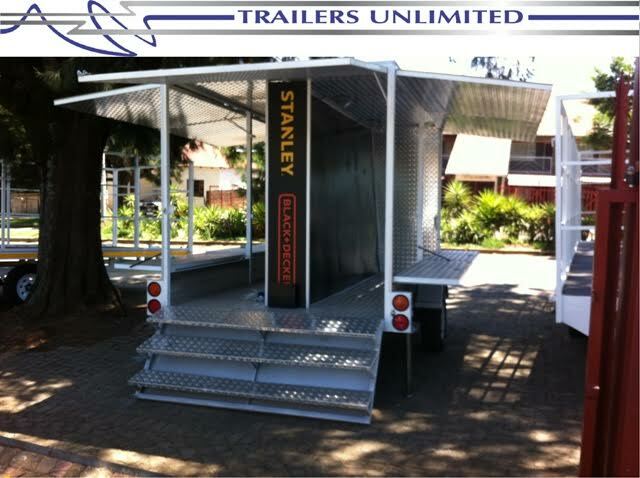 As specialists in customization we have embarked on a niche market that required our expertise. 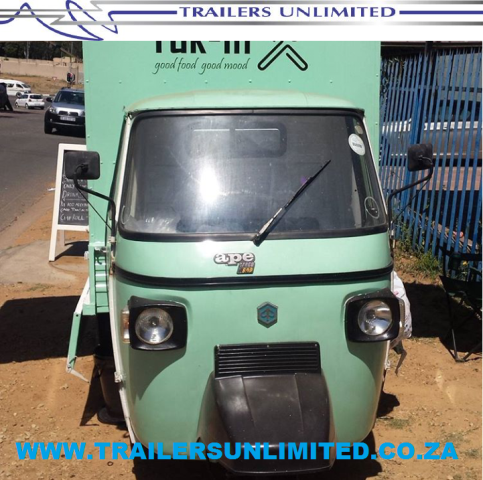 Tuk Tuk coversion’s are fast becoming a trend due to the mobility and endless possibilities. 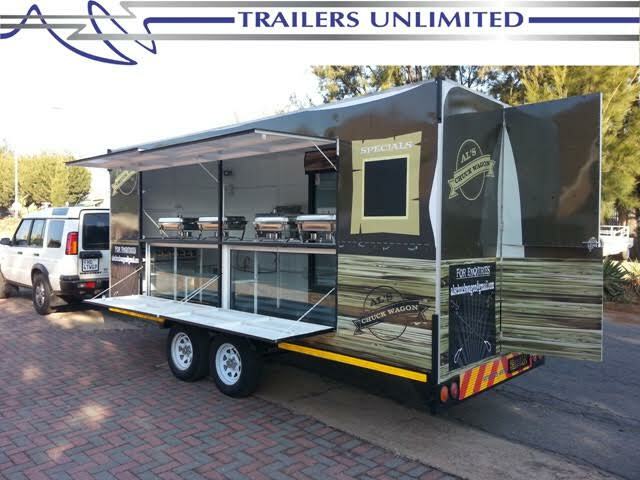 Including but not limited to: Catering, flowers, deliveries and pop up shops. 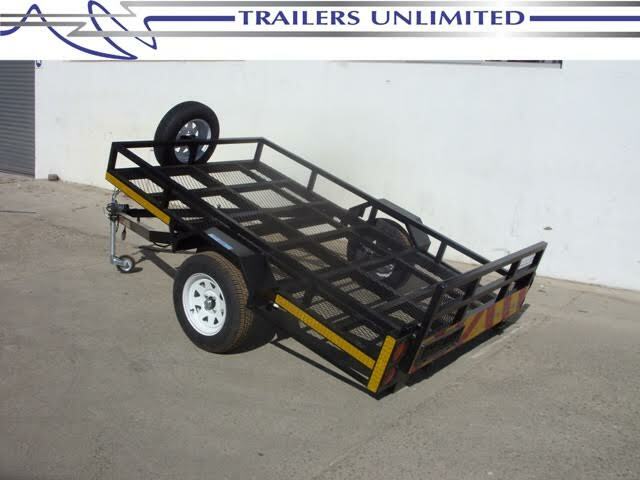 We are a reliable trailer manufacturer that can address any of your trailer needs.